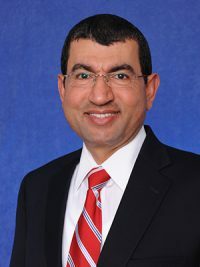 Professor Haitham M. Al-Deek, Ph.D., P.E. Ph.D. Civil Engineering-Transportation Engineering, October 1991. University of California, Berkeley. M.S. Civil Engineering-Transportation Engineering, December 1987. University of California, Berkeley. B.S. Civil Engineering (with Honors), July 1985. Professor Haitham Al-Deek is an international expert with more than 32 years of experience in transportation engineering, planning, and operations. He is nationally recognized in the fields of freeway operations and intelligent transportation systems. He is also well known for his contributions to the field of wrong-way driving with various ITS countermeasures. He is currently working on utilizing connected vehicles to stop wrong way drivers. He received numerous awards from the national US Research Council Transportation Research Board (TRB). In 2018 and 2012, he received the Chairman’s Award in recognition of his meritorious service, leadership, and substantial contributions to the field of freeway operations as the Chair of the paper review subcommittee of the TRB Freeway Operations Committee (AHB20). He also received two certificates of appreciation from the TRB Regional Transportation Systems Management and Operations (Regional TSM&O) Committee in 2018 and 2012 (AHB10). He received the best TRB paper awards in freeway operations for the years 2018, 2015, 2009, and 2003. His students won the best TRB student paper award in freeway operations for 2018 and 2017 years. He also received the best TRB paper award in Regional Transportation Management and Operations in 2018, 2017, 2016, 2015, and 2013. 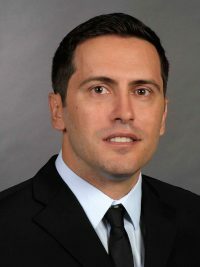 Professor Al-Deek had numerous media interviews on wrong-way driving, e.g., FOX NOW 19 news in 2016, and Channel 9 news in 2015 and 2014 featuring the innovative wrong-way driving countermeasure he and his research team came up with, which was later implemented for the first time in North America. He has 3 US patents, 2 registered trademarks, and 8 copyrights. He was featured as a distinguished researcher by the UCF College of Engineering in 2003. Professor Al-Deek joined the University of Central Florida (UCF) in 1992. Since then he supervised twelve Ph.D. dissertations and twenty-eight M.S. theses to completion. He is the faculty advisor of the Institute of Transportation Engineers (ITE) student chapter at UCF since 1993. 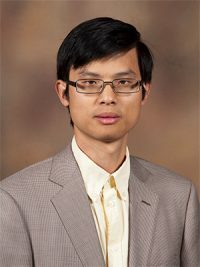 Recently, he won the UCF College of Engineering and Computer Science Excellence in Research at Professor Level award in April 2018 and won the UCF Research Incentive Award (RIA) twice in February 2018 and in 2001. He won the UCF Researcher of the 1999 Year Campus Wide Award. 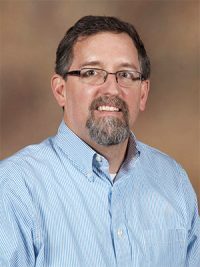 He has won the Teaching Incentive Program (TIP) awards at UCF five times in addition to several other teaching awards. Professor Al-Deek has attracted close to 7.5 million dollars to UCF (8 million lifetimes) with over 75 applied research projects. He has more than 366 peer-reviewed publications and presentations, and more than 2,884 Google Scholar citations of his work and an h-index of 27 as of February 12, 2019. His primary areas of research are: Connected and Automated Vehicles, Intelligent Transportation Systems (ITS), Wrong Way Driving and Countermeasures, and Traffic Information Systems, Electronic Toll Collection and Traffic Management Systems, Freight Transportation, and Clean Energy. 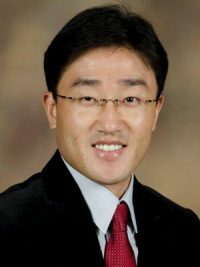 He has done multi-disciplinary research in many other areas such as traffic safety, driver simulators and man-in-the-loop, modeling of the impact of traffic congestion on air quality, and sustainable transportation utilizing solar energy. The first to invent a new wrong way detection and control system, a new way to stop wrong way drivers through the application of connected vehicles; new ways to notify right way drivers of the presence of wrong way drivers to avoid fatal crashes. He was the first to invent a new model for identifying the wrong way driving hotspots. He was the original creator of the Central Florida Data Warehouse (CFDW™) and its concept. The first to evaluate E-PASS (Electronic Toll Collection and Traffic Management Systems) before and after they were deployed in Orlando. The first to study and model truck and freight movements at Florida’s 14 deep seaports for a period of six years. Professor Al-Deek is a member of TRB committees. 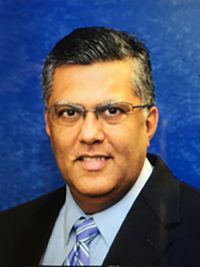 He is the chair of paper review subcommittees of the TRB Freeway Operations and the TRB Regional Transportation Systems Management and Operations (Regional TSM&O) Committees since 2000. 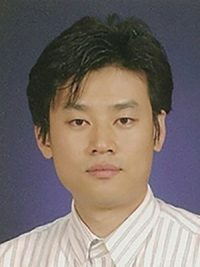 He also chaired the paper review subcommittee of the TRB Freight Transportation Data Committee for 7 years (2001-2007). 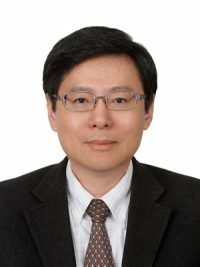 He is the associate editor of the Intelligent Transportation Systems Journal (J-ITS) since 2007 (J-ITS 2017 Impact Factor 2.164 and is ranked 18/35 among transportation and science technology journals). He is also an active registered professional engineer in Florida since 1998. Sole Principal Investigator (Al-Deek), “A Roadway Context Classification Approach for Developing Safety Performance Functions and Determining Traffic Operational Effects for Florida Intersections,” Sponsored by the Florida Department of Transportation (FDOT), December/2018 – November/2020. Source of Funding: Florida Department of Transportation (FDOT). Sole Principal Investigator (Al-Deek), “Evaluation of Initial Phase Rollout of Visitor Toll Pass Program: Phase 1,” Sponsored by the Central Florida Expressway Authority (CFX), August/2018 – December/2019. Source of Funding: Regional Government Agency (Multi-County/City). Sole Principal Investigator (Al-Deek), “UCF Scope of Work (SOW) in Red Rectangular Rapid Flashing Beacons (RRRFBs) as Part of Texas A&M Transportation Institute’s (TTI) Proposal to NTTA” Sponsored by the Texas A&M Transportation Institute (TTI), August/2017 – April/2019. Source of Funding: Texas A&M Transportation Institute (TTI) and North Texas Toll Authority (Out of state). 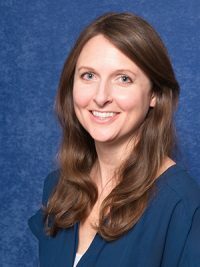 Sole Principal Investigator (Al-Deek), “Extension to Project Wrong-Way Driving Phase-3 Study: Allocating and Evaluating Countermeasures on CFX Roadway Network” Sponsored by the Central Florida Expressway Authority (CFX), August/2017 – August/2019. Source of Funding: Regional Government Agency (Multi-County/City). Sole Principal Investigator (Al-Deek), “Deployment and Evaluation of Wrong-Way Driving (WWD) Countermeasures for the Florida Turnpike Enterprise Toll Road System, Phase-2 Study,” Sponsored by FDOT, September/2016 – March/2019. Source of Funding: FDOT (State). Sole Principal Investigator (Al-Deek), “Evaluating the Potential of Connected Vehicles in Combating Wrong-Way Driving,” Sponsored by the Southeastern Transportation Center (STC), April/2016 – August/2018. Source of Funding: USDOT (Federal). Sole Principal Investigator (Al-Deek), “Evaluating the Impact and Usefulness of Highway Advisory Radio (HAR) and Citizens’ Band Radio Advisory Systems (CBRAS) in Providing Traveler Information and Improving the User Experience on the Florida Turnpike Enterprise’s Toll Road Network and the Florida Interstate Highway (FIH) System,” Sponsored by the Florida Department of Transportation (FDOT), May/2014 – March/2016. Source of Funding: FDOT (State). 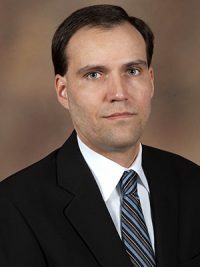 Sole Principal Investigator (Al-Deek), “Evaluating the Wrong-Way Driving Incidents Problem on the Florida’s Turnpike Enterprise Roadway System,” Sponsored by the Southeastern Transportation Center (STC), April/2014 – March/2016. Source of Funding: USDOT (Federal). Sole Principal Investigator (Al-Deek), “Evaluating the Wrong-Way Driving Incidents Problem on the Florida’s Turnpike Enterprise Roadway System, Phase-1 Study,” Sponsored by FDOT, January/2014 – December/2015. Source of Funding: FDOT (State). Sole Principal Investigator (Al-Deek), “Wrong-Way Driving Incidents on OOCEA Toll Road Network, Phase-2 Study: Development of Countermeasures,” Sponsored by the Orlando-Orange County Expressway Authority (OOCEA), March/2014 – March/2015. Source of Funding: Local Government Agency (County). Sole Principal Investigator (Al-Deek), “Wrong-Way Driving Incidents on OOCEA Toll Road Network, Phase-1 Study: What is the Extent of this Problem?,” Sponsored by the Orlando-Orange County Expressway Authority (OOCEA), November/2012 – May/2013. Source of Funding: Local Government Agency (County). Main Principal Investigator (Al-Deek), with Co-Pi: Tatari and Hadi (FIU), “Performance Measurements of Transportation Systems Based on Fine-Grained Data Collected by AVI and AVL Systems,” Sponsored by the Southeast Region University Transportation Center known as the National Center for Transportation System Productivity and Management (NCTSPM) which is part of the University Transportation Center (UTC) federally funded programs including four universities: Georgia Institute of Technology as lead university, University of Central Florida, Florida International University, and University of Alabama, June 1/2012 – June 30/2014. Source of Funding: USDOT (Federal). Sole Principal Investigator (Al-Deek), “Preliminary and Exploratory Traffic Impact Study for the Student Union 2 and New Day Care Center at UCF,” Funded by the University of Central Florida Student Union, January 27/2010 – February 17/2010. Source of Funding: University of Central Florida (Internal). Sole Principal Investigator (Al-Deek), “Evaluating the Impact of OOCEA’s Dynamic Message Signs (DMS) on Travelers’ Experience,” Sponsored by the Orlando-Orange County Expressway Authority (OOCEA), September/2006 – August/2008. Source of Funding: Local Government Agency (County). Director, Transportation Systems Institute (TSI), 1993-2013. Associate Editor of the Intelligent Transportation Systems (ITS) Journal (JITS): Taylor & Francis, 2007- 5-year Impact Factor = 1.852 and 2017 Impact Factor is 2.164 (http://www.tandfonline.com/toc/gits20/current”>http://www.tandfonline.com/toc/gits2 current Accessed on April 30, 2018). JITS is ranked 18/35 among the “Transportation Science and Technology” journals, based on Web of Science-Journal Citation Reports. Chairman, Paper Review Subcommittee of the Freeway Operations Committee AHB20 of the Transportation Research Board (TRB), January 2001-present. Chairman, Paper Review Subcommittee of the Regional Transportation Systems Management and Operations (Regional TSM&O) Committee AHB10 of the Transportation Research Board (TRB), January 2007-present. Chairman, Paper Review Subcommittee of the Freight Transportation Data Committee ABJ90 of the Transportation Research Board (TRB), January 2001-April 2007. Faculty advisor of the Institute of Transportation Engineers (ITE) Student Chapter at UCF, 1992-2018. Chair, CECE Transportation Engineering Faculty Search Committee (Two Positions in Smart Cities), UCF, Fall 2017-Spring 2018. Chair, CECE Transportation Engineering Faculty Search Committee, UCF, Fall 2013-Spring 2014. Chair, CECE Tenure and Promotion Committee, UCF, Spring 2014-Spring 2017. 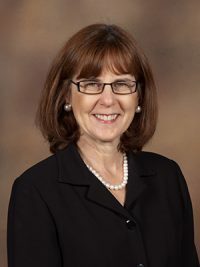 Chair, CECE Annual Evaluation Standards and Procedures (AESP) Committee, UCF, Fall 2011-Spring 2013. Chair, CECE ABET Outcomes (f), (j), and (k) (Concept Tests + CQI for TTE Courses) Subcommittee#4, UCF, Fall 2016. Chair, CECE Critical Thinking, Oral and Written Communication, Ethics, and Professional Engineering Registration Subcommittee, UCF, Fall 2012-Spring 2016. Chair, CECE Engineering Ethics, Professionalism, Engineering Practice, and Registration Subcommittee, UCF, Fall 2011-Spring 2016. Chair, CECE Math, Physics, Chemistry Assessment Subcommittee, UCF, Spring 2006-Summer 2011. CATSS Program Director of Advanced Traffic Management Systems and Data Warehouse Research, 2003-2005. 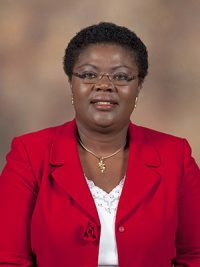 Associate Director of CATSS for ITS Programs, 2001-2003. Chairman, Traffic Operations and ITS Sub-Committee of ASCE, 1993-1997. Chair, CEE Faculty Evaluation Committee, Spring 2005-Summer 2005. Chair, CEE Department Faculty Evaluation Committee, UCF, 1998-1999. Referee for about 15 faculty portfolios and/or applications/cases at national and international universities including tenure and promotion, promotion to full professor rank, and tenure track positions. Adrian Sandt, UCF Graduate of Civil, Environmental, and Construction Engineering Department, UCF, P3 Program, Postdoctoral Associate, 2018-2020. 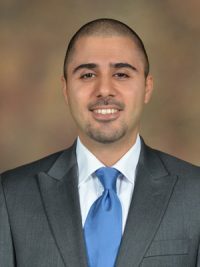 Nabeel Yousef, UCF Graduate of Industrial Engineering Department, Visiting Professor, Summer 2006. Balaji Ramachandran, UF Graduate, Visiting Adjunct Research Professor, 2003-2004. Amr Abdel-Rahman, UF Graduate, Visiting Adjunct Research Professor, 2001-2003. Jack Klodzinski, UCF Graduate, Adjunct Research Professor, 2002-2004. 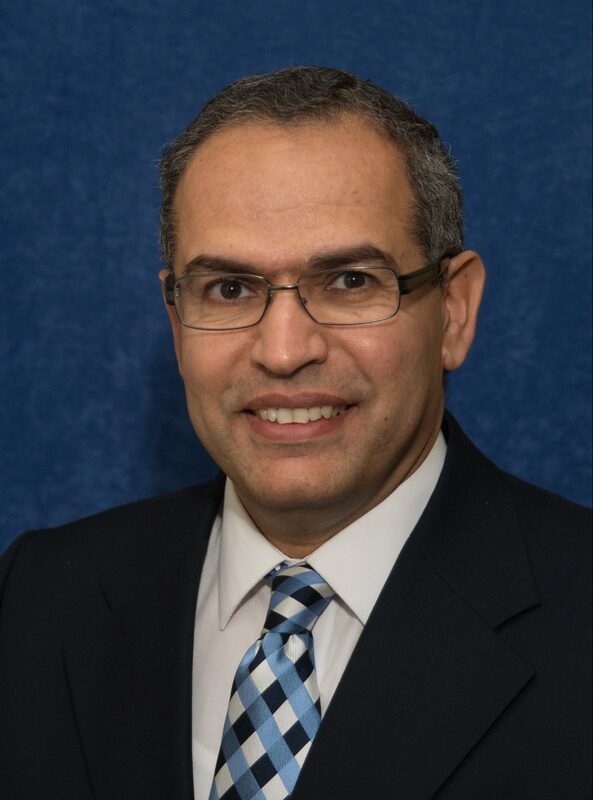 Sherif Ishak, UCF Graduate, Visiting Research Professor, 1998-2001. George Anagnostopoulos, Department of Electrical Engineering and Computer Science. Invited Keynote Speaker at the 8th Traffic Safety Conference organized by the Jordan Traffic Institute, title of Professor Al-Deek’s speech was “UCF Wrong-Way Driving Research Program (2012-Ongoing),” December 12-13, 2017, Amman, Jordan. Keynote Speaker at the Central Florida Institute of Transportation Engineers (CFITE) Luncheon Meeting, title of Professor Al-Deek’s speech was “Innovative Research Methodology and Countermeasures for Combating Wrong-Way Driving,” meeting organized by the Central Florida Institute of Transportation Engineers (CFITE), August 20, 2015, Florida Turnpike Enterprise (FTE), Turkey Lake Office, Ocoee, Florida. Invited Keynote Speaker at the 7th Traffic Safety Conference organized by the Jordan Traffic Institute (JTI), title of Professor Al-Deek’s speech was “Innovative Research Methodology and Countermeasures for Combating Wrong-Way Driving,” May 12-13, 2015, Amman, Jordan. Invited Keynote Speaker at the 4th Jordan International Conference and Exhibition for Roads & Traffic “High Priority Issues in the Future Transport Sector”, title of Professor Al-Deek’s speech was “Intelligent Transportation Systems (ITS),” March 12-13, 2014, the University of Jordan, Amman, Jordan. Invited Session Chairman, session on “Traffic Modeling and Simulation,” Gulf Second Conference on Roads, Abu Dhabi, UAE, March 14-18, 2004. Invited Session Chairman, TRB session on “Operational Analysis Tools,” session sponsored by the TRB Freeway Operations Committee A3A09, Washington, D. C., January 16, 2002. Invited Session Chairman, session on “Tutorial on Design and Evaluation of Advanced Traffic Management Systems Using Microscopic Simulation,” the ASCE Fifth International Conference on Applications of Advanced Technologies in Transportation Engineering (AATT-5), New Port Beach, California, April 26-29, 1998. Invited Session Chairman, session on “Evaluation of Transportation Alternatives,” 1995 ASCE Annual Convention, Transportation Congress, and Exposition & Construction Congress, San Diego, California, October, 1995. Invited Session Chairman, session on “Intermodal Transportation Management Applications,” 1995 ASCE Annual Convention, Transportation Congress, and Exposition & Construction Congress, San Diego, California, October, 1995. Invited Session Chairman, session on “Intelligent Transportation Systems,” 1st CSCE Transportation Conference in Edmonton, Alberta, Canada, May, 1996. Invited Session Chairman, session on “Electronic Road Guidance” at the Sixth World Conference on Transport Research (WCTR), Lyon, France, July 1992. President, Engineering and Science Professionals, LLC, February 2010-November 2016. Chief Technology Officer. Client: Nopetro, LLC, October 2009-2010. Independent Consultant. Client: Institute of Transportation Engineers (ITE), December 2008-March 2009. Independent Consultant. Client: URS Corporation, March 2008-2009. Wrong Way Indication Beacon and Related Methods, H. Al-Deek, C. Quinn, and H. Rogers, United States Approved Patent US 9,805,596 B2, Approval and Patent Issue Date: October 31, 2017. The United States Patent Publication US 2017/0032668 A1, Al-Deek et al., publication date: February 2, 2017, 15 pages. US Patent and Trademark Office Notice of Allowance Issued July 5, 2017. Provisional Patent Application No. 23085117, serial no. 62/199, 579, filed on July 31, 2015. Non-Provisional Patent Application No. 15/223,186, Docket (UCF Ref.) No. 33441 ADDMG (File No. 0124271), filed on July 29, 2016. Wrong Way Vehicle Detection and Control System, H. Al-Deek and C. Quinn, Pub. No: US 2018/0050693 A1, US Patent 62/375,571. Non-Provisional Patent Application No. 15/677,501, filed on Aug. 15, 2017, UCF Internal No. 33716. Provisional Patent Serial No. 62/375,571, filed on August 16, 2016. Provisional Patent Application Docket (UCF Ref.) No. 33516 ADDMG (File No. 0126090). Publication Date: Feb. 22, 2018. Application pending—Received 1st Office Action on November 21, 2018. Wrong Way Indication Beacon and Related Methods (Continuation): Smart Ways to Notify Right Way Drivers in Real Time about Active Wrong Way Drivers in the Network, US Patent Office. Continuation-in-part of application No. 15/223,186 filed on July 29, 2016, United States Approved Patent US 10,109,192 B2 (Wrong Way Indication Beacon and Related Methods) filed on October 30, 2017, Patent issued on October 23, 2018. Provisional application No. 62/199,579, filed on July 31, 2015. Application No. 15/797,130. Publication No. : US 2018/0075743 A1. Publication Date: March 15, 2018, 17 pages, US Patent and Trademark Office Notice of Allowance Mailed: July 13, 2018. Wrong-Way Driving “(WWD) HotspotsTM” Identification System. This is a system of integrated methodologies used to prioritize implementation of advanced WWD countermeasures on limited access highway segments. This is a Trademark registered in the United States Copyright Office to Haitham Al-Deek and John Rogers, Trademark Application No. 87/417051, filed on April 19, 2017. Trademark Issued 5,603,448 on November 6, 2018, 2 pages. UCF REF ID# 33574. A trademark granted by the United States Copyright Office to Haitham M. Al-Deek for the “Central Florida Data Warehouse or CFDW™“ innovative concept and software, Docket No. UCF-482, Fall 2005. Certificate of Registration granted by the United States Copyright Office to Haitham M. Al-Deek and Sherif Ishak for “Travel Time Prediction©,” April 20, 2004. Certificate of Registration granted by the United States Copyright Office to Haitham M. Al-Deek and Patrick Kerr for “Travel Time Prediction Using Imputed Data Values©,” April 20, 2004. Certificate of Registration granted by the United States Copyright Office to Haitham M. Al-Deek and Patrick Kerr for “Loop Detector Data Feed Reader Software©,” April 20, 2004. Certificate of Registration granted by the United States Copyright Office to Haitham M. Al-Deek and Patrick Kerr for “Central Florida Data Warehouse (CFDW) Traffic Information Web Page©,” April 20, 2004. Certificate of Registration granted by the United States Copyright Office to Haitham M. Al-Deek for “Loop Detector Data Grinding Software Code©,” April 20, 2004. Certificate of Registration granted by the United States Copyright Office to Haitham M. Al-Deek for “LOVATS: Loop Output Verification and Algorithm Testing System©,” December 8, 1994. Certificate of Registration granted by the United States Copyright Office to Haitham M. Al-Deek for “The Role of Advanced Traveler Information Systems in Incident Management©,” Ph.D. Dissertation, March 9, 1993. Associate Editor of the Intelligent Transportation Systems (ITS) Journal (JITS): Taylor & Francis, 2007-present. 5-year Impact Factor = 1.852 and 2017 Impact Factor is 2.164 (http://www.tandfonline.com/toc/gits20/current Accessed on April 30, 2018). JITS is ranked 18/35 among the “Transportation Science and Technology” journals, based on Web of Science-Journal Citation Reports. Guest Editor of the Intelligent Transportation Systems (ITS) Journal (JITS): Taylor & Francis, 2004-2006. College of Engineering and Computer Science Excellence in Research at the Full Professor Level Award for the 2018 Year. Professor Al-Deek was recognized on the UCF Founder’s Day Honors Convocation, Wednesday, April 4, 2018. Research Inventive Award (RIA) for 2017-2018 year. Professor Al-Deek was one of the 7 CECS faculty (out of 30 CECS faculty applicants) to receive this RIA Award in the 2017-2018 year. Chairman’s Award presented to Haitham Al-Deek in recognition of his meritorious service, leadership, and substantial contributions as the Chair of the Paper Review Subcommittee of Transportation Research Board (TRB) Freeway Operations Committee; awarded by the TRB Freeway Operations Committee- US National Research Council (NRC), Washington D.C., award was presented to Professor Al-Deek by committee chair, Jon Obenberger, and TRB senior traffic operations engineer, Richard Cunard, on January 9, 2018. Certificate of Appreciation, presented by the US National Research Council’s Transportation Research Board (TRB) to: Haitham M. Al-Deek “In recognition of his continuing role in organizing and conducting the technical paper review process of the TRB Regional Transportation Systems Management and Operations Committee (AHB10) (RTSMO),” 97st TRB Annual Meeting, January 7-11, 2018, certificate was presented to Professor Al-Deek by committee chair, Les Jacobson and TRB staff on January 10, 2018. Best TRB Freeway Operations Paper Award for 2018; award was presented by the TRB Freeway Operations Committee- US NRC, Washington D.C. to Professor Al-Deek on January 15, 2019. 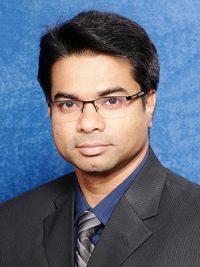 The paper was titled “Analysis of Performance Data Collected from Two Wrong-Way Driving Advanced Technology Countermeasures and Results of Countermeasures Stakeholder Surveys,” by Imrul Kayes et al. (Professor Al-Deek is the corresponding author; Imrul Kayes is the lead author and Professor Al-Deek’s PhD student). Best TRB Freeway Operations Student Paper Award for 2018; award was presented by the TRB Freeway Operations Committee- US NRC, Washington D.C. to Professor Al-Deek’ student, Omar Al-Sahili, on January 15, 2019. The paper was titled “Investigating and Modeling the Illegal U-turn Violations at Medians of Limited Access Facilities,” by Omar Al-Sahili et al. (Professor Al-Deek is the corresponding author; Omar Al-Sahili is the lead author and Professor Al-Deek’s MS Thesis student). Best TRB Regional Transportation Systems Management and Operations (RTSMO) Paper Award for 2018; award was presented by the TRB Regional TSM&O Committee- US NRC, Washington D.C., on January 16, 2019. The paper was titled “Wrong-Way Driving: A Regional Transportation Systems Management and Operations Approach to A Regional Problem,” by Md Omar Faruk et al. (Professor Al-Deek is the corresponding author; Md Omar Faruk is the lead author and Professor Al-Deek’s MS Thesis student). Keynote Speaker at the 8th Jordan Traffic Safety Conference organized by the Jordan Traffic Institute, title of Professor Al-Deek’s keynote speech was “UCF Wrong-Way Driving Research Program (2012-Ongoing),” December 12-13, 2017, Amman, Jordan. Professor Al-Deek received a plaque at the end of the conference in recognition for his keynote speech. Keynote Speaker at the Central Florida Institute of Transportation Engineers (CFITE) Luncheon Meeting, title of Professor Al-Deek’s keynote speech was “Innovative Research Methodology and Countermeasures for Combating Wrong-Way Driving,” meeting organized by the Central Florida Institute of Transportation Engineers (CFITE), August 20, 2015, Florida Turnpike Enterprise (FTE), Turkey Lake Office, Ocoee, Florida. Keynote Speaker at the 7th Jordan Traffic Safety Conference organized by the Jordan Traffic Institute, title of Professor Al-Deek’s keynote speech was “Innovative Research Methodology and Countermeasures for Combating Wrong-Way Driving,” May 12-13, 2015, Amman, Jordan. Professor Al-Deek received a plaque at the end of the conference in recognition for his keynote speech. Keynote Speaker at the 4th Jordan International Conference and Exhibition for Roads & Traffic “High Priority Issues in the Future Transport Sector”, title of Professor Al-Deek’s keynote speech was “Intelligent Transportation Systems (ITS),” JITC4 2014, March 12-13, 2014, the University of Jordan, Amman, Jordan. Professor Al-Deek received a plaque at the end of the conference in recognition for his keynote speech. Chairman’s Award presented to Haitham Al-Deek in recognition of his significant contributions to the Freeway Operations Field and to the Transportation Research Board’s (TRB) Freeway Operations committee; awarded by the TRB Freeway Operations Committee- US National Research Council (NRC), Washington D.C., award was presented to Professor Al-Deek by committee chair, Phil Masters, and TRB senior traffic operations engineer, Richard Cunard, on January 24, 2012. Certificate of Appreciation, presented by the US National Research Council’s Transportation Research Board (TRB) to: Haitham M. Al-Deek “In recognition of his efforts leading the Regional Transportation Systems Management and Operations (RTSMO) committee paper review process,” 91st TRB Annual Meeting, January 22-26, 2012, certificate was presented to Professor Al-Deek by committee chair and TRB staff on January 25, 2012. Best Freeway Operations Paper Award for 2015, presented by the TRB Freeway Operations Committee- US NRC, Washington D.C. Paper titled “Wrong Way Driving Multifactor Risk-Based Model for Florida Interstate and Toll Facilities,” by John Rogers et al. (Al-Deek is the corresponding author; John Rogers is the lead author and Professor Al-Deek’s PhD student), award was presented to Professor Al-Deek on January 12, 2016 at the TRB 2016 annual meeting. Best Regional Transportation Systems Management and Operations (RTSMO) Paper Award for 2016; presented by the TRB Regional TSM&O Committee- US NRC, Washington D.C. Award was presented to Professor Al-Dee on January 11, 2017. The paper was titled “Regional Evaluation of Bus Rapid Transit with and without Transit Signal Priority,” by Ahmad Alomari et al. (Al-Deek is the corresponding author; Ahmad Alomari is the lead author and Professor Al-Deek’s PhD student). Best Regional Transportation Systems Management and Operations (Regional TSM&O) Paper Award for 2015; presented by the TRB Regional TSM&O Committee- US NRC, Washington D.C. to Professor Al-Deek on January 13, 2016. The paper was titled “Evaluation of Conditional Transit Signal Priority Technology for Regional Implementation,” by Frank Consoli et al. (Al-Deek is the corresponding author; Frank Consoli is the lead author and Professor Al-Deek’s PhD student). Best Regional Transportation Systems Management and Operations (Regional TSM&O) Paper Award for 2013; presented by the TRB RTSMO Committee- US NRC, Washington D.C. to Professor Al-Deek on January 15, 2014. The paper was titled “Smart Event Traffic Management: Impact on the Central Florida Regional Transportation Network and Lessons Learned,” by Frank Consoli et al. (Al-Deek is the corresponding author; Frank Consoli is the lead author and Professor Al-Deek’s PhD student). Best Freeway Operations Paper Award for 2009, presented by the TRB Freeway Operations Committee- US NRC, Washington D.C. Paper titled “The Impact of Dynamic Message Signs on Satisfaction and Diversion of Toll Road Travelers,” by Haitham Al-Deek et al., award was presented to Professor Al-Deek on January 12, 2010. Best Freeway Operations Paper Award for 2003, presented by the TRB Freeway Operations Committee- US NRC, Washington D.C. The paper was titled “Statistical Evaluation of I-4 Traffic Prediction System,” by S. Ishak and H. Al-Deek, award was presented to corresponding author, Professor Al-Deek, in January 2004. Our paper with my PhD student Adrian Sandt won the 2017 Best Freeway Operations Student Paper Award. This is the first time such an award was introduced by TRB’s history and Adrian was the first to win it in this committee. The paper was titled “Identifying Wrong-Way Driving Hotspots by Modeling Crash Risk and Assessing Durations of Wrong-Way Driving Events,” by Adrian Sandt, Haitham Al-Deek, and John Rogers. This award was presented to Adrian Sandt at the 97th TRB annual meeting on January 9, 2018. My undergraduate student researcher and research team member, Corin Staves, won the US Fulbright Scholar to pursue his MSc degree in transportation systems at Technical University of Munich (TUM) in Germany, March 2018. I wrote him a letter of recommendation to support his US Fulbright application. My PhD Student Adrian Sandt won UTC Student of the Year Competition Award, University Transportation Centers (UTC) representing the Southeastern Transportation Center (STC) lead by the University of Tennessee, Knoxville for the year 2016, award was presented by the Consortium for University Transportation Centers (CUTC) sponsored by the US Department of Transportation, Washington D.C., January 2017. My PhD Student Adrian Sandt was a member of the UCF data mining team that won Second Place in the 2016 SAS Analytics Shootout Competition, 2016 Analytics Experience Conference, $3,000 Award, UCF Team Members: Adrian Sandt, Charles Harrison, Aaron Smith, Jay-Ming Wang, and Morgan Wang, Ph.D., Las Vegas, Nevada, September 12-14, 2016. My PhD Student Taylor Lochrane won UTC Student of the Year Competition Award, University Transportation Centers (UTC) representing the National Center for Transportation System Productivity and Management (NCTSPM) lead by Georgia Institute of Technology (Georgia Tech) for the year 2012, award was presented by the Consortium for University Transportation Centers (CUTC) sponsored by the US Department of Transportation, Washington D.C., January 2013. Elected as College of Engineering Faculty Senator, UCF Faculty Senate, April 2008, two year term, 2008-2010. TV Channel 9 (ABC News) Central Florida broadcast on Professor Al-Deek’s research findings on Wrong-Way Driving aired at five different times on Wednesday February 11 and Thursday February 12, 2015. The following link is for the first version aired at 6:18 PM on February 11, 2015: http://www.wftv.com/videos/news/first-wrong-way-driver-alert-system-installed-in/vDFx2M/ (Accessed March 6, 2015). The Orlando Sentinel mentioned Professor Al-Deek’s research findings on Wrong-Way Driving in their article on Saturday September 27, 2014: http://www.orlandosentinel.com/news/breaking-news/os-florida-wrong-way-crashes-20140927-story.html (Accessed March 6, 2015). Tampa Bay News mentioned Professor Al-Deek’s research findings on Wrong-Way Driving in their article on Tuesday September 23, 2014: http://www.tampabay.com/news/publicsafety/accidents/wrong-way-driving-may-be-more-common-than-thought/2199070 (Accessed March 6, 2015). Full story in Central Florida Future (CFF) newspaper on July 23, 2014: http://www.centralfloridafuture.com/story/news/college/university-central-florida/2014/07/26/ucf-alumnus-garners-white-house-attention/13212343/ (Accessed March 6, 2015). UCF CECE Department 2014-2015 brochure, with the picture of my Ph.D. Candidate, Taylor Lochrane, explaining his cutting edge transportation research to President Obama. The UCF Public Radio interviewed Professor Al-Deek to talk about his research on Wrong-Way Driving on Wednesday February 26, 2014. The Orlando Sentinel covered Professor Al-Deek’s research story on a significant portion of the first page published on Saturday March 1, 2014 –the two links below show the first page story followed by a 2 minute live video on the Sentinel’s web site where Professor Al-Deek talks about his research findings on Wrong-Way Driving: http://articles.orlandosentinel.com/2014-02-28/news/os-wrong-way-accidents-20140228_1_expressway-authority-toll-roads-authority-roadshttp://www.orlandosentinel.com/videogallery/79466468/Video-Wrong-way-driver-study-and-prevention (Accessed March 6, 2015). 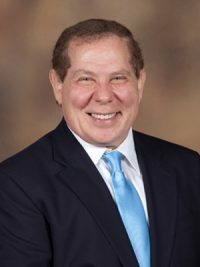 Also, the following blog has been published by the legal team at Largely Law covering Professor Al-Deek’s research findings on Wrong-Way Driving: http://www.largeylaw-blog.com/blog/wrong-way-driving-becoming-increasingly-problematic-in-central-florida/ (Accessed March 6, 2015). The Atlantic Cities wrote a story about Professor Al-Deek’s research on Vehicle Miles Traveled (VMT) based fee (FDOT’s secretary is cited in this news article) dated October 3, 2013: http://www.theatlanticcities.com/commute/2013/10/someday-soon-youll-pay-every-mile-you-drive/7113/ (Accessed March 6, 2015). TV Channel 24 PBS, Aired three times in Summer of 2003, Broadcast about Professor Al-Deek’s research and presentation on the impact of the I-4 www.trafficinfo.org real-time traffic information web site which was first developed by Professor Al-Deek at that time. 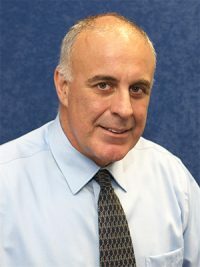 Member of UCF Millionaire Club, Office of Research and Commercialization, University of Central Florida, September 2002. Attracted more than one million dollars in external research funding during one month (September 2002). Faculty Wall of Excellence, College of Engineering and Computer Science, University of Central Florida, March 2002-present. Letter Writers’ Forum ‘99, Free Press, The Orlando Sentinel, Plaque presented by the Orlando Sentinel to Professor Al-Deek, Orlando, Florida, 1999. Graduate Fellowship, Department of Civil and Environmental Engineering, University of California at Berkeley, (1986-1991). Bright Undergraduate Engineering Student Fellowship, Department of Civil and Environmental (1981-1985). Associate Editor of the Intelligent Transportation Systems (ITS) Journal (JITS): Taylor & Francis, 2007-present. 5-year Impact Factor = 1.179. Chairman’s Award presented to Haitham Al-Deek in recognition of his significant contributions to the Freeway Operations Field and to the Transportation Research Board’s (TRB) Freeway Operations committee, January 24, 2012; presented by the TRB Freeway Operations Committee- US National Research Council (NRC), Washington D.C., Award presented to Professor Al-Deek by committee chair, Phil Masters, and TRB senior traffic operations engineer, Richard Cunard, on January 24, 2012. Best Regional Transportation Systems Management and Operations (RTSMO) paper for 2013 TRB conference. Our paper was nominated for the Transportation Research Board’s D. Grant Mickle Award in April 2013 by the TRB RTSMO Committee- US NRC, Washington D.C., Paper Titled “Smart Event Traffic Management: Impact on the Central Florida Regional Transportation Network and Lessons Learned,” by Frank Consoli et al. (Al-Deek is a co-author). Best Freeway Operations Paper Award for 2009, presented by the TRB Freeway Operations Committee- US NRC, Washington D.C., Paper Titled “The Impact of Dynamic Message Signs on Satisfaction and Diversion of Toll Road Travelers,” by Haitham Al-Deek et al., Award presented on January 12, 2010. Best Freeway Operations Paper Award for 2003, presented by the TRB Freeway Operations Committee- US NRC, Washington D.C., Paper Titled “Statistical Evaluation of I-4 Traffic Prediction System,” by S. Ishak and H. Al-Deek, Award presented on January 2004. Elected as College of Engineering Faculty Senator, UCF Faculty Senate, April 2008, two year term, 2008-2010. * TV Channel 24 PBS, Aired three times in Summer of 2003, Broadcast about Professor Al-Deek’s research and presentation on the impact of the I-4 www.trafficinfo.org real-time traffic information web site which he was the first to develop at that time. 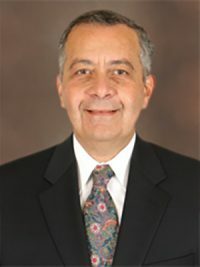 Member of UCF Millionaire Club, Office of Research and Commercialization, University of Central Florida, September 2002. Attracted more than one million dollars in external research funding for one month (September 2002). Letter Writers’ Forum ‘99, Free Press, The Orlando Sentinel, Orlando, 1999. Graduate Tuition Fellowships, Department of Civil and Environmental Engineering, University of California at Berkeley (Fall 1986 to Spring 1991). Bright Engineering Undergraduate Fellowship, Department of Civil and Environmental Engineering, (1981-1985). Teaching Incentive Program (TIP) Award, College of Engineering and Computer Science, University of Central Florida, April 2017. Teaching Incentive Program (TIP) Award, College of Engineering and Computer Science, University of Central Florida, April 2012. Distinguished Graduate Teaching Award, for outstanding accomplishments in graduate teaching, award is granted to the best graduate teacher in the CECE department, presented to Professor Haitham M. Al-Deek at the First Annual Builders of the Realm Celebration, UCF College of Engineering and Computer Science, November 2, 2007. Teaching Incentive Program (TIP) Award, College of Engineering and Computer Science, University of Central Florida, April 2007. Teaching Incentive Program (TIP) Award, College of Engineering and Computer Science, University of Central Florida, April 2002. Teaching Incentive Program (TIP) Award, College of Engineering, University of Central Florida, December 1996. Outstanding Graduate Teacher Award for the Department of Civil and Environmental Engineering, University of Central Florida, 1997-1998. Outstanding Graduate Teacher Award for the Department of Civil and Environmental Engineering, University of Central Florida, 1995-1996. Best TRB Freeway Operations Paper Award for 2018; presented by the TRB Freeway Operations Committee- US NRC, Washington D.C. to Professor Al-Deek on January 15, 2019. 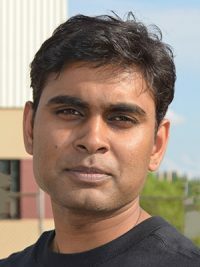 The paper was titled “Analysis of Performance Data Collected from Two Wrong-Way Driving Advanced Technology Countermeasures and Results of Countermeasures Stakeholder Surveys,” by Imrul Kayes et al. (Professor Al-Deek is the corresponding author; Imrul Kayes is the lead author and Professor Al-Deek’s PhD student). Best TRB Freeway Operations Student Paper Award for 2018; presented by the TRB Freeway Operations Committee- US NRC, Washington D.C. to Professor Al-Deek’ student, Omar Al-Sahili, on January 15, 2019. The paper was titled “Investigating and Modeling the Illegal U-turn Violations at Medians of Limited Access Facilities,” by Omar Al-Sahili et al. (Professor Al-Deek is the corresponding author; Omar Al-Sahili is the lead author and Professor Al-Deek’s MS Thesis student). Best TRB Regional Transportation Systems Management and Operations (RTSMO) Paper Award for 2018; presented by the TRB Regional TSM&O Committee- US NRC, Washington D.C. to Professor Al-Deek on January 16, 2019. The paper was titled “Wrong-Way Driving: A Regional Transportation Systems Management and Operations Approach to A Regional Problem,” by Md Omar Faruk et al. (Professor Al-Deek is the corresponding author; Md Omar Faruk is the lead author and Professor Al-Deek’s MS Thesis student). Best TRB Regional Transportation Systems Management and Operations (RTSMO) Paper Award for 2017; presented by the TRB Regional TSM&O Committee- US NRC, Washington D.C. Award was presented to Professor Al-Deek on January 10, 2018. The paper was titled “Using Agency Surveys and a Benefit-Cost Analysis to Evaluate Highway Advisory Radio as a Regional Traveler Information and Communication Tool,” by Adrian Sandt et al. (Professor Al-Deek is the corresponding author; Adrian Sandt is the lead author and Professor Al-Deek’s PhD student). Best Regional Transportation Systems Management and Operations (RTSMO) Paper Award for 2016; presented by the TRB Regional TSM&O Committee- US NRC, Washington D.C. to Professor Al-Deek on January 11, 2017. The paper was titled “Regional Evaluation of Bus Rapid Transit with and without Transit Signal Priority,” by Ahmad Alomari et al. (Al-Deek is the corresponding author; Ahmad Alomari is the lead author and Professor Al-Deek’s PhD student). Best Freeway Operations Paper Award for 2015, presented by the TRB Freeway Operations Committee- US NRC, Washington D.C. Paper titled “Wrong Way Driving Multifactor Risk-Based Model for Florida Interstate and Toll Facilities,” by John Rogers et al. (Al-Deek is the corresponding author; John Rogers is the lead author and Professor Al-Deek’s PhD student), award first announced in April 2015 then presented to Professor Al-Deek on January 12, 2016 at the TRB 2016 annual meeting.Best Regional Transportation Systems Management and Operations (Regional TSM&O) Paper Award for 2015; presented by the TRB Regional TSM&O Committee- US NRC, Washington D.C. Award was presented to Professor Al-Deek on January 13, 2016. The paper was titled “Evaluation of Conditional Transit Signal Priority Technology for Regional Implementation,” by Frank Consoli et al. (Al-Deek is the corresponding author; Frank Consoli is the lead author and Professor Al-Deek’s PhD student). Best Regional Transportation Systems Management and Operations (Regional TSM&O) Paper Award for 2013; presented by the TRB RTSMO Committee- US NRC, Washington D.C. Award was presented to Professor Al-Deek on January 15, 2014. The paper was titled “Smart Event Traffic Management: Impact on the Central Florida Regional Transportation Network and Lessons Learned,” by Frank Consoli et al. (Al-Deek is the corresponding author; Frank Consoli is the lead author and Professor Al-Deek’s PhD student). Recommended by the Council for International Exchange of Scholars (CIES) for a lecturing/research award under the 2004 United States of America Fulbright program with the Middle East, November 2003. Best Freeway Operations Paper Award for 2003, presented by the TRB Freeway Operations Committee- US NRC, Washington D.C. The paper was titled “Statistical Evaluation of I-4 Traffic Prediction System,” by S. Ishak and H. Al-Deek, the award was presented to the corresponding author, Professor Al-Deek, in January 2004. College of Engineering and Computer Science Excellence in Research at the Full Professor Level Award for 2018. Professor Al-Deek was recognized on the UCF Founder’s Day Honors Convocation, Wednesday, April 4, 2018. Research Inventive Award (RIA) for the 2017-2018 year. Professor Al-Deek was one of the 7 CECS faculty (out of 30 CECS faculty applicants) to receive this RIA Award in the 2017-2018 year. Distinguished Researcher Seminar to reward productive research CECS faculty, Sponsored by the UCF College of Engineering and Computer Science and managed by the UCF Continuing Education, June 3, 2003. Research Incentive Award (RIA), College of Engineering and Computer Science, University of Central Florida, March 2001, retroactive to August 2000. The first faculty to receive this award in the CECE department’s history. Researcher of the 1999 Year Award, University of Central Florida, April 1999. Distinguished Researcher Award for the College of Engineering and Computer Science, University of Central Florida, 1998-1999. Senior Researcher Award for the Department of Civil and Environmental Engineering, University of Central Florida, 1998-1999. College of Engineering International Activities Award, University of Central Florida, February 1996. Outstanding Researcher Award for the Department of Civil and Environmental Engineering, University of Central Florida, 1994-1995. Keynote Speaker at the 8th Jordan Traffic Safety Conference organized by the Jordan Traffic Institute, title of Professor Al-Deek’s keynote speech was “UCF Wrong-Way Driving Research Program (2012-Ongoing),” December 12-13, 2017, Amman, Jordan. Keynote Speaker at the 8th Jordan Traffic Safety Conference organized by the Jordan Traffic Institute (JTI), title of Professor Al-Deek’s speech was “UCF Wrong-Way Driving Research Program (2012-Ongoing),” December 12-13, 2017, Amman, Jordan. Keynote Speaker at the 7th Jordan Traffic Safety Conference organized by the Jordan Traffic Institute (JTI), title of Professor Al-Deek’s speech was “Innovative Research Methodology and Countermeasures for Combating Wrong-Way Driving,” May 12-13, 2015, Amman, Jordan. Featured Speaker, MetroPlan Orlando on “Analysis and Countermeasures of Wrong Way Driving (WWD) in Florida” at MetroPlan Orlando headquarters, Orlando, Florida, December 5, 2014. Keynote Speaker Plaque awarded by the Jordan Association of Engineers (JEA) at the 4th Jordan International Conference and Exhibition for Roads & Traffic “High Priority Issues in the Future Transport Sector”, March 13, 2014, Amman, Jordan. 20 Year Service Medal, presented by the UCF Provost Tony Walrdrop to Professor Al-Deek for Al-Deek’s 20 year service to UCF, UCF Founders Day, April 2012. Certificate of Appreciation, granted by the US National Research Council’s Transportation Research Board (TRB) to: Haitham M. Al-Deek “In recognition of his efforts leading the Regional Transportation Systems Management and Operations (RTSMO) committee paper review process,” 91st TRB Annual Meeting, January 22-26, 2012, Certificate presented to Professor Al-Deek by committee chair and TRB staff on January 25, 2012. Certificate of Appreciation, granted by the Transportation Research Board (TRB) to: Haitham M. Al-Deek for “the Outstanding Service as Chair of the Committee on Freight Transportation Data Paper Review Process,” 2000-2007, April 2007. Appreciation Plague, granted by ITS Florida to: Haitham M. Al-Deek for “Two Years of Service on the Board of the Intelligent Transportation Society of Florida, Signed by Chester Chandler, President of ITS Florida, December 2004. Certificate of Appreciation, granted by the Florida Department of Transportation Research Center to: Haitham M. Al-Deek during Peer Exchange 2002 in recognition of “Your Dedication to the Pursuit of Continued Improvement to the State of Florida Department of Transportation Research Delivery Program,” Best Western Gateway Grand, Gainesville, Florida, February 6, 2002. College of Engineering and Computer Science (CECS) Faculty Star, the only CECS faculty featured in the following publication (Our Stars, Our People Doing Great Work, 3rd page)—August 2016: http://www.cecs.ucf.edu/web/wp-content/uploads/2016/08/UCF-Engineering-Computer-Science-FINAL-Digital-8-22-2016.pdf (Accessed September 7, 2016). TV Channel 9 (ABC News) Central Florida broadcast on Professor Al-Deek’s research findings on Wrong-Way Driving on Wednesday December 14, 2016: http://www.wftv.com/news/local/people-still-driving-wrong-way-on-central-florida-toll-roads-but-program-working/475965579 (Accessed March 30, 2017). TV Channel 9 (ABC News) Central Florida broadcast on Professor Al-Deek’s research findings on Wrong-Way Driving aired at three different times on Thursday July 14, 2016. In addition, the following link was posted on Channel 9 Web Site: http://www.wftv.com/news/program-to-prevent-wrong-way-crashes-appears-to-be-working-expressway-authority-says_20160714212722/401211815 (Accessed July 18, 2016). TV Channel 13 Central Florida broadcast on Professor Al-Deek’s research findings on Wrong-Way Driving aired on Thursday July 14, 2016: https://1drv.ms/v/s!Am8opIZU_GEka8C0kUXztdSawG0 (Accessed July 18, 2016). TV Channel 13 News article posted on their web site on July 14, 2016: http://www.mynews13.com/content/news/cfnews13/news/article.html/content/news/articles/cfn/2016/7/14/catching_wrong_way_d.html (Accessed July 18, 2016). The only faculty from my department featured in the UCF College of Engineering and Computer Science (CECS) Marketing Video 2014-2015 Academic Year, see link below: https://drive.google.com/file/d/0B_C7H24svH61WlV2SVFBQUZqcjA/view?usp=sharing (Accessed April 13, 2015). TV Channel 24 PBS, Aired three times in Summer of 2003, broadcast about Professor Al-Deek’s presentation on the impact on the community of the I-4 trafficinfo.org web site that he developed at UCF. Received ASCE Transportation Technical Group Speaker Award (Central Florida Branch), 1995. 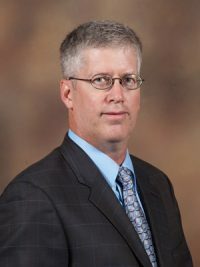 Faculty advisor of the Institute of Transportation Engineers (ITE) Student Chapter at UCF, 1992-Spring 2019. This student chapter and its members received numerous awards, see next page(s). Judge, Provide Transportation Competition Data and Facilitate HCS Demo Software for the ASCE National Student Chapter Competition, judge the winning team in Spring 2008. Ghalia Elbendary (UCF-ITE Treasurer), Women Transportation Seminar (WTS) Graduate Award, WTS Central Florida Chapter, August 2018. 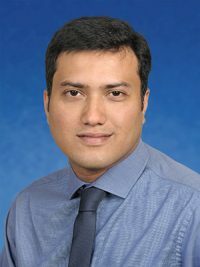 Md Imrul Kayes, lead author, won the Best TRB Freeway Operations Paper Award for 2018; (Al-Deek is the corresponding author and Imrul Kayes is the lead author and Professor Al-Deek’s PhD student). Omar Al-Sahili, lead author, won the Best TRB Freeway Operations Student Paper Award for 2018; (Al-Deek is the corresponding author and Omar Al-Sahili is the lead author and Professor Al-Deek’s MS Thesis student). Adrian Sandt, lead author, won the Best 2017 TRB Freeway Operations Student Paper Award. The paper was titled “Identifying Wrong-Way Driving Hotspots by Modeling Crash Risk and Assessing Durations of Wrong-Way Driving Events,” by Adrian Sandt, Haitham Al-Deek, and John Rogers. Adrian Sandt won UTC Student of the Year Competition Award, University Transportation Centers (UTC) representing the Southeastern Transportation Center (STC) lead by the University of Tennessee, Knoxville for the year 2017, Award presented by the Consortium for University Transportation Centers (CUTC) sponsored by the US Department of Transportation, Washington D.C., January 2017. Adrian Sandt was a member of the UCF data mining team that won Second Place in the 2016 SAS Analytics Shootout Competition, 2016 Analytics Experience Conference, UCF Team Members: Adrian Sandt, Charles Harrison, Aaron Smith, Jay-Ming Wang, and Morgan Wang, Ph.D., Las Vegas, Nevada, September 12-14, 2016. Tricia Labud (ITE Vice President), Women Transportation Seminar (WTS) Award, WTS Central Florida Chapter, February 2011. Taylor Lochrane, Outstanding Mentor for the 2013 STIPDG (U.S.DOT and the Washington Center), August 2013. Taylor Lochrane, UTC Student of the Year Competition Award, University Transportation Centers (UTC), US Department of Transportation, Washington D.C., January 2013. Taylor Lochrane, nominated for Federal Highway Administration Leadership in Operations Award, October 2012. Taylor Lochrane, received Certificate of Appreciation (CFC Keyworker) by the U.S. DOT Secretary Ray LaHood, June 2012. Taylor Lochrane (ITE President and Student Body Vice President—UCF Student Government), United Safety Council Law Enforcement Traffic Safety Award (January 2011). Taylor Lochrane (ITE President and Student Body Vice President—UCF Student Government), Outstanding Service 42nd Student Senate (October 2010). Taylor Lochrane (past ITE President and Student Body Vice President—UCF Student Government), USDOT internship “STIPDG” Recipient (June 2010). Taylor Lochrane (ITE President and Student Body Vice President—UCF Student Government), Student Government Association Graduate Student Achievers Scholarship (March 2010). Taylor Lochrane (ITE President), IRF Fellowship, 2010 IRF Road Scholar, Washington D.C., January 2010. 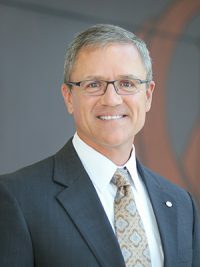 Taylor Lochrane, IRF Member of the Board of Directors, 2013. Taylor Lochrane (ITE President), ASCE Florida Section, 2009 Graduate Student of the Year for Florida, August 2009, ASCE East Central Branch UCF Graduate Student Scholarship, June 2009, ASCE East Central Branch Certificate of Appreciation, May 2008, ASCE Florida Section 2007 Outstanding Student Service of the Year, August 2007. Taylor Lochrane (ITE President), Order of the Engineer UCF Chapter (May 2009). Taylor Lochrane (ITE President), UCF Homecoming Court 2009 I Bleed Black, November 2009. Jack Klodzinski, University Transportation Center Outstanding Student of the Year Award, presented by the Office of Research and Special Programs and Administration (RSPA) of the United States Department of Transportation, Washington D.C., January 2001. Hassan Abdelwahab, University Transportation Center Outstanding Student of the Year Award, presented by the Office of Research and Special Programs and Administration (RSPA) of the United States Department of Transportation, January 2002, Washington D.C.
Melyssa Trnavskis, United States Woman Transportation Seminar (WTS) Undergraduate Award. To win this award, Melyssa Trnavskis had to compete with 100 WTS chapters all over the US in the 1997/1998 academic year. Melyssa was also the local recipient of the Helen Overly Woman Transportation Seminar (WTS) Award in Orlando, 1997. Georges Darido, National Science Foundation Graduate Study Award, joined MIT, 1999. ITE Bill McGrath Scholarship presented to Mr. Ayman Mohamed, 2000. Third Place in statewide Traffic Bowl Competition, UCF-ITE student chapter under the advisement of Professor Al-Deek, Florida ITE meeting, Jacksonville, Florida, Summer 2018. Second Place in statewide Traffic Bowl Competition, UCF-ITE student chapter under the advisement of Professor Al-Deek, Florida ITE meeting, Naples, Florida, Summer 2017. Best ITE Student Chapter Report Award, presented by the Florida Professional Section of the Institute of Transportation Engineers (ITE) to the UCF-ITE Student Chapter, 2002. 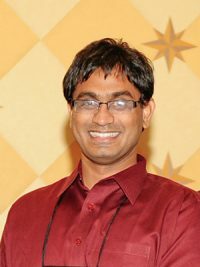 Pradeep S. Reddy, while president of the UCF-ITE student chapter, won the AASHTO and the Florida Department of Transportation’s Francis B. Francois Fellowship Competition, October 2002. Best ITE Student Paper Competition Award, presented by the Florida Professional Section of the Institute of Transportation Engineers (ITE) to Mr. Hatem Abou-Senna, Transpo 2002, December 2002. Best ITE Student Paper Competition Award, presented by the Florida Professional Section of the Institute of Transportation Engineers (ITE) to Mr. Hassan Abdelwahab, 2001. Best ITE Student Paper Competition Award, presented by the Florida Professional Section of the Institute of Transportation Engineers (ITE) to Mr. Jose Aguilar, 2000. Member, National Cooperative Freight Research Program (NCFRP) 34, Alternative Technologies for Container Freight Movement, February 2010-2015. Member, National Cooperative Highway Research Program (NCHRP) –G03-94 AASHTO’s Transportation Systems Operations and Management Guide, July 2008-2012. Member, National Cooperative Highway Research Program (NCHRP) –SHRP-2 C05 Capacity ETG Project Panel on Capacity, January 2007-December 2008. Member, National Cooperative Highway Research Program Project Panel SP20-58(03), February 2002-2004. Member, American Society for Engineering Education (ASEE), 2012-2014. Member, American Society of Civil Engineers Street and Highway Operations Committee (SHOC), Transportation & Development Institute, Fall 2013-2018. Member, American Society of Civil Engineers (ASCE), 1992-2009. Member, ASCE Transportation & Development Institute, Environmental Issues Committee (EIC), 1996- 2009. Control Member, Traffic Operations Committee of the Urban Transportation Division of ASCE, 1993-2009. Member, Urban Transportation Division Publications Committee of ASCE (or Member of the Editorial Board of the ASCE Transportation Engineering Journal), 1993-2009. Member, Intermodal Planning Committee of the Urban Transportation Division of ASCE, 1998-2009. Member, Environmental and Energy Aspects of Transportation Committee of ASCE, 1993-2009. Member, Planning Committee of ASCE, 1993-2009. Member, ASCE Transportation Technical Group (representing UCF in the local chapter, Orlando, Florida), 1992-1999. 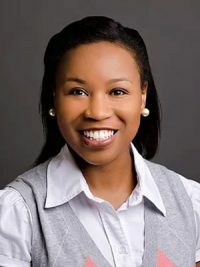 Member of the Transportation Research Board (TRB) Regional Transportation Systems Management and Operations Committee (Reginal TSM&O) AHB10, 2006-2019 (Membership extended 4/15/2016-2/14/2019). Member of the Transportation Research Board (TRB) Freeway Operations Committee AHB20, February 2000 – 2012, 2015-present. (Membership extended 4/15/2018-4/14/2021). Member of the Transportation Research Board (TRB) Freight Transportation Data Committee ABJ90, August 2000-2009. Chairman, Paper Review Subcommittee of the Regional Transportation Systems Management and Operations Committee (Regional TSM&O) AHB10 of the Transportation Research Board (TRB), January 2007-present. Member of Research Subcommittee of the Freeway Operations Committee AHB20 of the Transportation Research Board (TRB), 1998-2009. Co-Chair, with TTI, and in joint collaboration with Traffic Control Devices TRB Committee AHB50, “Special call for papers on wrong way driving,” for TRB 2015 annual meeting, April-May 2014. Co-Chair, with TTI, and in joint collaboration with Traffic Control Devices TRB Committee AHB50, “Special panel session of invited speakers on wrong way driving,” for TRB 2015 annual meeting, April-May 2014. Friend of the Traffic Flow Theory Committee of the Transportation Research Board (TRB), 1996-present. Friend of the Highway Capacity and Level of Service Committee of the Transportation Research Board (TRB), 1996-present. Associate member of the Transportation and Air Quality Committee of the Transportation Research Board (TRB), 1996-2000. Member, Institute of Transportation Engineers (ITE), 1986-2004. Member, ITE Florida Section, 1998-2004. Member, ITS Florida Section, 1998-2009. Member, ITS Committee, MetroPlan Orlando, 2001-2009. Member, Florida Statewide ITS Advisory Committee, 1998-2009. Member, Central Florida’s Regional Transportation Operations Consortium, 2002-2009. Member, United States National Education Association (NEA), 2009-present. Elected by majority vote to serve as Member of the Board of Directors, ITS Florida, January 2003-December 2004 (two-year term). Completed my term in December 2004 and received a letter of appreciation from the President of ITS Florida. Actively Registered Professional Engineer, State of Florida, February 1998- present. License renewed until 2/28/2021. Member, United Faculty of Florida, 2009-2012, 2013-present. Member, ITS Florida Statewide Academic Advisory Task Force, March 2005-2009. Member, Florida Statewide Incident Management Task Force, 2002-2009. Member, Florida Statewide Freight Modeling Task Force, 1998-2009. Associate Editor, The Journal of Intelligent Transportation Systems (JITS), October 2007-Present. Guest-Editor, Special Issue on Proven Technologies, The Journal of Intelligent Transportation Systems, 2004-2006. Member, Editorial Board, The Journal of Intelligent Transportation Systems, Summer 2004-Present. Reviewer of Refereed Journal Papers/Conference Proceedings. ASCE Journal of Transportation Engineering. ASCE Journal of Computing in Civil Engineering. ITS (Intelligent Transportation Systems) Journal. International Journal of Advances in Engineering Software. International Journal of Mathematical and Computer Modeling. Journal of Computer-Aided Civil and Infrastructure Engineering. Computers & Industrial Engineering Journal. Transportation Research Board Annual Meeting (reviewer for several committees). University of Central Florida Office of Research and Commercialization, UCF Internal Proposal Submissions (yearly funding cycle). University of California Transportation Center (UCTC). Natural Sciences and Engineering Research Council (NSERC) of Canada. Kansas NSF EPCSoR and Kansas Technology Enterprise Corporation. Advancing Science Excellence in North Dakota NSF Program. The Southern Transportation Research and Education Center (STREC). University Research Board (URB) at the American University of Beirut, Lebanon. Reviewed several undergraduate and graduate civil engineering textbooks (and textbook proposals) for possible adoption. Books reviewed were published by McGraw Hill, Addison Wesley, John Wiley & Sons, Prentice Hall, Chapman and Hall, and ASCE. Referee for Tenure & Promotion Portfolios, Referee to Full Professor Rank Portfolios, and Referee for Tenure Track Positions Applications at Other National and International Universities (a total of 16 cases). Director of the Transportation Systems Institute (TSI), 1993-2013. Member, Florida Department of Education Statewide Course Numbering System (SCNS) Committee for Discipline on Civil & Environmental Engineering, Spring 2006-present. Elected Faculty Senator to serve in the UCF Faculty Senate and represent the College of Engineering and Computer Science (CECS), 2008-2010. Member, Faculty Senate Personnel Committee, Fall 2008-Spring 2010. Member, University of Central Florida Graduate Strategic Planning Committee, 2004-2009. Member, University of Central Florida, Transportation Access Fee Committee, 2000-2009. Member, CECS Research Committee, Fall 2012-Spring 2014. Member, CECS Research Committee, 2003-2005. Member, CECS Research Incentive Award (RIA) Selection Committee, Fall 2018-Spring 2021. Member, CECS Research Incentive Award (RIA) Selection Committee, Spring 2013. Member, CECS Research Incentive Award (RIA) Selection Committee, Spring 2004. Member, CECS Research Incentive Award (RIA) Selection Committee, 2002. Member, CECS Modeling and Simulation Interdisciplinary Academic Advisory Committee, 2001-present. Member, CECS Teaching Incentive Program (TIP) Selection Committee, Spring 2013. Member, CECS Teaching Incentive Program (TIP) Criteria Committee, Fall 2010. Member, CECS Teaching Incentive Program (TIP) Selection Committee, Spring 2008. Member, CECS Teaching Incentive Program (TIP) Criteria Committee, Spring 2007. Member, CECS Teaching Incentive Program (TIP) Selection Committee, Spring 2003. Chair, College of Engineering and Computer Science Library Committee (and representative of the CEE department), 1993-2005. Member, College of Engineering Infrastructure Committee, 1993-2003. Chair, CECE Transportation Engineering Faculty Search Committee (Two Smart City Positions), Fall 2017–Spring 2018. Chair, CECE Transportation Engineering Faculty Search Committee, Fall 2013-Spring 2014. Chair, CECE Tenure and Promotion Committee, Spring 2014-Spring 2017. Chair, CECE Critical Thinking, Oral and Written Communication, Ethics, and Professional Engineering Registration Subcommittee, Fall 2012-Spring 2015. Coordinator, transportation engineering adjunct faculty lecturers for TTE3180 and TTE4274, Fall 2014-present. Chair, Assessment Subcommittee#4 (Outcomes (f) and (j) Concept Tests + Continuous Quality Improvement (CQI) (TTE Courses), Fall 2015-Fall 2017. Member, CEE Department Transportation Faculty Search Committee, Spring 2017-Spring 2018. Member, CEE Department Transportation Faculty Search Committee, Fall 2015-Spring 2016. Member, CEE Department Transportation Faculty Search Committee, Fall 2013-Spring 2014. Coordinator, PhD Qualifying Exam and MSTS Exit Exam, Transportation Engineering Faculty Group, Fall 2012-Fall 2014. Chair, CECE Annual Evaluation Standards and Procedures (AESP) Committee, Fall 2011-Spring 2013. Chair, CECE Engineering Ethics, Professionalism, Engineering Practice, and Registration Subcommittee, Fall 2011. Chair, CECE Math, Physics, Chemistry Assessment Subcommittee, Spring 2006-Summer 2011. Member, CECE Department Tenure and Promotion Committee, 1997-1999, 2001-April 2002, 2005-present. Member, CEE Department Graduate Committee, 1996-2006. Member, CEE Department Structures Faculty Search Committee, Fall 2005-Spring 2006. Member, CEE Department SWOT (Strengths, Weaknesses, Opportunities, and Threats) Committee, 2004-2009. Member, CEE Undergraduate Curriculum and Assessment Committee, Fall 2003-Summer 2007. Member, CECE, Subcommittee 5: Concept tests and CQI (TTE Courses), Fall 2018-present. Member, CECE Transportation Faculty Group, 1992-present. Member, ABET 2000 Undergraduate Curriculum Committee, CEE Department, 1998-Spring 2007. Member, CECE Graduation Ceremony Committee, 1992-present. Member, CECE Open House Committee, 2002-present. Chair, CEE Department Faculty Evaluation Committee, 1998-1999. Member, CE Department Faculty Search Committee – construction faculty position, 1997-1998. Member, Committee of Center for Research on Environmental Degradation, Infrastructure, and Transportation (CREDIT), 1996-1997. Member, CE MS Thesis/Report Option Committee, Fall 1994. Member, CE Faculty Search Committee –transportation engineering faculty position, 1994-1995, and Summer 2006-Spring 2007. Member, CEE Department Vision Committee, Summer 2006-Spring 2007. Member, CE Ad-Hoc Curriculum Review Committee, 1993-1995. Member, CEE Committee to Evaluate the Proposed New Program for Construction Engineering/Management, 1996-1998. Mentor for the Science Research Program at Lake Brantley High School and Seminole Community College, August 1996 – 2009. Member, Central Florida Citizens for Public Transportation. Advocacy group to promote mass transit supported by Congressman John Mica, 1998- 2000. Made five presentations to citizens of Central Florida about the benefits of UCF Research on I-4 congestion and the Central Data Warehouse in MetroPlan Orlando, 2001-2002. Served as the United Way Coordinator for the Civil and Environmental Engineering Department in Fall 1992. Collected highest college donations. Gave a presentation on IVHS and Traffic Operations at the ASCE Transportation Technical Group of Central Florida meeting in Orlando, Florida, 1994. Please note that my student co-authors are denoted by superscript (*). My name or the corresponding faculty name’s author/co-author is denoted by superscript (+). Sandt*, A. and AL-DEEK+, H., “A Wrong-Way Driving Crash Risk Reduction Approach for Cost-Effective Installation of Advanced Technology Wrong-Way Countermeasures,” Journal of the Transportation Research Board, http://dx.doi.org/1177/0361198118778938, July 2018. 2672(14): 85–95. Kayes*, I., AL-DEEK+, H., Sandt*, A., Rogers*, J., and Carrick, G., “Analysis of Performance Data Collected from Two Wrong-Way Driving Advanced Technology Countermeasures and Results of Countermeasures Stakeholder Surveys,” Journal of the Transportation Research Board, http://dx.doi.org/1177/0361198118778933, June 2018. 2672(14): 96-105. This paper was selected as the best paper by the TRB Freeway Operations committee for the year 2018. The paper award was presented to Professor Al-Deek (corresponding author) and all co-authors on January 15, 2019, at the 2019 TRB annual meeting in Washington, DC. Al-Sahili*, O., AL-DEEK+, H., Sandt*, A., Mantzaris, A., Rogers*, J., and Faruk*, O., “Investigating and Modeling the Illegal U-turn Violations at Medians of Limited Access Facilities,” Journal of the Transportation Research Board, http://dx.doi.org/1177/0361198118778941, June 2018. 2672(14): 73-84. This paper selected as the best student paper by the Freeway Operations committee for the year 2018. Paper award was presented to the lead author and coauthors on January 15, 2019 at the 2019 TRB annual meeting in Washington, DC. Faruk*, O., AL-DEEK+, H., Sandt*, and A., Rogers*, J., “Wrong-Way Driving: A Regional Transportation Systems Management and Operations Approach to A Regional Problem,” Journal of the Transportation Research Board, http://dx.doi.org/1177/0361198118778939, July 2018. 2672(14): 106-116. This paper was selected as the best paper by the Regional Transportation Systems Management and Operations committee for the year 2018. The paper award was presented to Professor Al-Deek (corresponding author) and all co-authors were recognized on January 16, 2019 at the TRB meeting. Wertanen*, S., Staves*, C., AL-DEEK+, H., Sandt*, Carrick, G. and Rogers*, J., “Evaluating Wrong-Way Driving Characteristics, Countermeasures, and Alert Dissemination Methods through Driver and Law Enforcement Surveys,” Journal of the Transportation Research Board, http://dx.doi.org/1177/0361198118778943, July 2018. 2672(33): 42–55. Sandt*, A. , AL-DEEK+, H., and Rogers*, J., “Identifying Wrong-Way Driving Hotspots by Modeling Crash Risk and Assessing Durations of Wrong-Way Driving Events,” Journal of the Transportation Research Board, 2017. 2616, pp. 58-68, http://dx.doi.org/10.3141/2616-07, December 2017. This paper was nominated for the Transportation Research Board’s Cunard award (operations section) in February 2017 (this award is to recognize lead authors under 35). Also, it was selected as the best student paper by the Freeway Operations committee for the year 2017. The student paper award was announced in February 2017 and was presented to the lead author and coauthors on January 9th, 2018 at the TRB meeting. Sandt*, A. , AL-DEEK+, H., Rogers*, J., and Kayes*, I., “Using Agency Surveys and a Benefit-Cost Analysis to Evaluate Highway Advisory Radio as a Regional Traveler Information and Communication Tool,” Journal of the Transportation Research Board, 2616, pp. 81-90, http://dx.doi.org/10.3141/2616-09, December 2017. This paper was nominated for the Transportation Research Board’s D. Grant Mickle award in February 2017. It was selected as the best paper by the Regional Transportation Systems Management and Operations committee for the year 2017. The paper award was presented to Professor Al-Deek (corresponding author) and all co-authors were recognized during the committee meeting on January 10, 2018 at the TRB meeting. AL-DEEK+, H., Sandt*, A., Alomari*, A. , and Hussain*, O., “A Technical Note on Evaluating Effectiveness of Bus Rapid Transit with Transit Signal Priority,” Journal of Intelligent Transportation Systems (J-ITS), Volume 21, Issue 3, DOI: 1080/15472450.2017.1286987, January 2017. Rogers*, J., AL-DEEK+, H., Alomari*, A., Gordin, E., and Carrick, G., “Modeling the Risk of Wrong-Way Driving on Freeways and Toll Roads,” Journal of the Transportation Research Board, 2554, pp. 166-176, DOI: 10.3141/2554-18, November 2016. Alomari*, A., AL-DEEK+, H., Sandt*, A., Rogers*, J., and Hussain*, O., “Regional Evaluation of Bus Rapid Transit with and without Transit Signal Priority,” Journal of the Transportation Research Board, 2554, pp. 46-59, DOI: 10.3141/2554-06, November 2016. This paper was selected as the best paper by the Regional Transportation Systems Management and Operations committee for the year 2016. The paper award was presented to Professor Al-Deek (corresponding author) and all co-authors were recognized on January 11, 2017 at the TRB meeting. Fakharian, S., Hadi+, M., Xiao, Y., and AL-DEEK, H., “Queue Length Estimation for Freeway Facilities Based on the Combination of Point Traffic Detector Data and Automatic Vehicle Identification Data,” Journal of the Transportation Research Board, DOI: 3141/2616-03, December 2016. Sandt*, A. , AL-DEEK+, H., Rogers*, J., Muhaisen*, N., and Alomari*, A., “Should Legacy Highway Advisory Radio and Citizens’ Band Radio Advisory Systems be Continued? Analysis of Traveler Usage and Satisfaction Regarding These Systems,” Journal of the Transportation Research Board, 2602, pp. 88-96, DOI: 10.3141/2602-11, December 2016. Rogers*, J., Sandt*, A. , AL-DEEK+, H., Alomari*, A., Uddin, N., Gordin, E., Dos Santos, C., Renfrow, J., and Carrick, G., “Wrong-Way Driving Multifactor Risk-Based Model for Florida Interstates and Toll Facilities,” Journal of the Transportation Research Board, 2484, pp. 119-128, DOI: 10.3141/2484-13, December 2015. This paper was selected as the best paper by the Freeway Operations committee for the year 2015. The paper award was announced in April 2015 and a plaque was presented to Professor Al-Deek (corresponding author) along with the award copies presented to all co-authors on January 12, 2016 at the TRB meeting. Sandt*, A. , AL-DEEK+, H., Rogers*, J., and Alomari*, A., “Wrong-Way Driving Prevention: Incident Survey Results and Planned Countermeasure Implementation in Florida,” Journal of the Transportation Research Board, 2484, pp. 99-109, DOI: 10.3141/2484-11, December 2015. Lochrane*, T., AL-DEEK+, H., Dailey, D., and Krause, C., “Modeling Driver Behavior in Work and Non-work Zones Multidimensional Psychophysical Car-Following Framework” in the Journal of the Transportation Research Board, 2490, pp. 116-126, DOI: 10.3141/2490-13, December 2015, November 2015. Consoli*, F., Alomari*, A., AL-DEEK+, H., Rogers*, J., Sandt*, A., Noori, M.,Tatari, O., and Hadi, M., “Evaluation of Conditional Transit Signal Priority Technology for Regional Implementation,” Journal of the Transportation Research Board, 2484, pp. 140-148, DOI: 10.3141/2484-15, December 2015. This paper was selected as the best paper by the Regional Transportation Systems Management and Operations committee for the year 2015. The paper award was presented to Professor Al-Deek (corresponding author) and all co-authors were recognized on January 13, 2016 at the TRB meeting. Fakharian, S., Xiao, Y., Hadi+, M., and AL-DEEK, H., “Estimation of Freeway Density Based on Combination of Data Point Traffic Detector and Automatic Vehicle Identification Data,” Journal of the Transportation Research Board, 2484, pp. 110-118, DOI: 10.3141/2484-12, December 2015. Xiao, Y., Fakharian, S., Hadi+, M., and AL-DEEK, H., “Comparison of Instantaneous and Experienced Travel Time Using Point Detector Data and AVI Data,” Journal of the Transportation Research Board, No. 2470, December 2015. Lochrane*, T., AL-DEEK+, H., Dailey, D., and Bared, J., “Using a Living Laboratory to Support Transportation Research for a Freeway Work Zone.” ASCE Journal of Transportation Engineering, Volume 140, Number 7, pp. 04014024-1 to 04014024-7, July 2014. Rogers*, J., AL-DEEK+, H., Alomari*, A., and Consoli*, F., and Sandt*, A., “Wrong-Way Driving on Florida Toll Roads: An Investigation into Multiple Incident Parameters and Targeted Countermeasures for Reductions,” in the International Journal of Engineering Management and Economics (IJEME) (Special Issue on Transport), Volume 5, Nos. ¾, pp. 144-168, March 2015. Consoli*, F., Rogers*, J., AL-DEEK+, H., Tatari, O., and Alomari*, A., “Smart Event Traffic Management: Impact on the Central Florida Regional Transportation Network and Lessons Learned,” Journal of the Transportation Research Board, No. 2396, pp. 107-116, December 2013. This paper was selected as the best paper by the Regional Transportation Systems Management and Operations (RTSMO) committee for the year 2013. Award was announced at the annual meeting in Washington D.C. in January 2014. AL-DEEK+, H. and Moradi*, M., “Mileage Based User Fee: A Financial Evaluation Case Study for the State of Florida,” International Journal of Sustainable Transportation, (DOI for this article is: 10.1080/15568318.2012.753493), Vol. 9, No. 3, pp. 176-191, September 2014. Ercan, T., Kucukvar, M., Tatari+, O., and AL-DEEK, H., “Congestion Relief Based on Intelligent Transportation Systems in Florida: Analysis of Triple Bottom Line Sustainability Impact,” Journal of the Transportation Research Board, No. 2380, pp. 81-89, December 2013. AL-DEEK+, H., Lochrane*, T., Chandra*, R., and Khattak, A., “Diversion During Unexpected Congestion on Toll Roads: The Role of Traffic Information Displayed on Dynamic Message Signs,” IET Intelligent Transport Systems Journal, Volume 6, Issue#2, pp. 97-106, June 2012. Moradi*, M. and AL-DEEK+, H., “Financial Evaluation of the CAFÉ Standards and Viability of a Mileage Based User Fee as a Substitute for the Current per Gallon Fuel Taxes”, Institute of Transportation Engineers (ITE) Journal, Volume 82, No. 10, October 2012. Moradi*, M. and AL-DEEK+, H., “Let Us Talk Dollars and Sense: Another Case for Road User Fees vs. Motor Fuel Taxes”, Tollways: Journal of the International Bridge, Tunnel and Turnpike Association, 39-47, Summer 2012 issue. AL-DEEK+, H., Chandra*, R. S., and Flick*, J. “The Impact of Dynamic Message Signs on Satisfaction and Diversion of Toll Road Travelers,” Journal of the Transportation Research Board, No. 2099, pp. 1-13, October 2009. This paper won the Best Transportation Research Board (TRB) Freeway Operations Paper Award for the Year 2009 presented by TRB’s freeway operations committee on January 12, 2010 at the 2010 TRB Annual Meeting in Washington, D.C.
Chandra*, R. S. and AL-DEEK+, H., “Prediction of Freeway Traffic Speeds and Volumes Using Vector Autoregressive Models,” Journal of Intelligent Transportation Systems (JITS), Vol. 13, Issue 2, pp. 53-72, April-June 2009. AL-DEEK+, H. and Emam*, E., “Utilizing Data Warehouse to Develop Freeway Travel Time Reliability Stochastic Models,” Chapter 3 in the Transportation Statistics Book, J. Ross Publishing, pp. 43-76, copyright © 2009. Chandra*, R. S. and AL-DEEK+, H., “Cross Correlation Analysis and Multivariate Prediction of Spatial Time Series of Freeway Traffic Speeds,” Journal of the Transportation Research Board, No. 2061, pp. 64-76, October 2008. Nezamuddin*, N. and AL-DEEK+, H., “Developing Microscopic Toll Plaza and Toll Road Corridor Model with PARAMICS,” Journal of the Transportation Research Board, No. 2047, pp. 100-110, October 2008. AL-DEEK, H., Chandra*, R. S., Flick*, J., and Khattak, A., “Dynamic Message Sign Deployment and Diversion Behavior of Travelers on Central Florida Toll Roads,” Journal of the Transportation Research Board, No. 2129, pp. 24-34, December 2009. Sandt*, A., AL-DEEK+, H., and Kayes*, I., “Responding to the Wrong-Way Driving Problem with Limited Resources by Optimizing the Placement of Wrong-Way Driving Countermeasure Technologies on Limited Access Facilities,” published in the Transportation Research Board 98th Annual Meeting Compendium of Papers AMOnline, Washington D.C., January 13-17, 2019. Kayes*, I., Sandt*, A., AL-DEEK+, H., Uddin, N., Rogers*, J., and Carrick, G., “Modeling Wrong-Way Driving Entries at Limited Access Facility Exit Ramps in Florida,” published in the Transportation Research Board 98th Annual Meeting Compendium of Papers AMOnline, Washington D.C., January 13-17, 2019. Kayes*, I., AL-DEEK+, H., Sandt*, A., Carrick, G., Staves*, C., Gamaleldin*, G., Faruk*, O., and Al-Sahili*, O., “Characteristics of Law Enforcement Response to Wrong-Way Driving Events in Florida,” published in the Transportation Research Board 98th Annual Meeting Compendium of Papers AMOnline, Washington D.C., January 13-17, 2019. 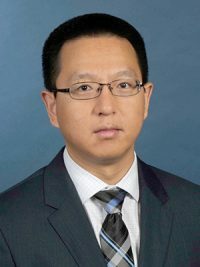 Sandt*, A. and AL-DEEK+, H., “A Wrong-Way Driving Crash Risk Reduction Approach for Cost-Effective Installation of Advanced Technology Wrong-Way Driving Countermeasures,” published in the Transportation Research Board 97th Annual Meeting Compendium of Papers AMOnline, Washington D.C., January 7-11, 2018. Kayes*, I., AL-DEEK+, H., Sandt*, A., Rogers*, J., and Carrick, G. “Analysis of Performance Data Collected from Two Wrong-Way Driving Advanced Technology Countermeasures and Results of Countermeasures Stakeholder Surveys,” published in the Transportation Research Board 97th Annual Meeting Compendium of Papers AMOnline, Washington D.C., January 7-11, 2018. Al-Sahili*, O., AL-DEEK+, H., Sandt*, A., Mantzaris, A., Rogers*, J., and Faruk*., O., “Investigating and Modeling the Illegal U-turn Violations at Medians of Limited Access Facilities,” published in the Transportation Research Board 97th Annual Meeting Compendium of Papers AMOnline, Washington D.C., January 7-11, 2018. Wertanen*, S., Staves*, C., AL-DEEK+, H., Sandt*, A., Carrick, G., and Rogers*, J., “Evaluating Wrong-Way Driving Characteristics, Countermeasures, and Alert Dissemination Methods through Driver and Law Enforcement Surveys,” published in the Transportation Research Board 97th Annual Meeting Compendium of Papers AMOnline, Washington D.C., January 7-11, 2018. Faruk*, O., AL-DEEK+, H., Sandt*, Rogers*, J., and Shamma*, A., “Wrong-Way Driving: A Regional Transportation Systems Management and Operations Approach to A Regional Problem,” published in the Transportation Research Board 97th Annual Meeting Compendium of Papers AMOnline, Washington D.C., January 7-11, 2018. Sandt*, A., AL-DEEK+, H., and Rogers*, J., “Identifying Wrong-Way Driving Hotspots by Modeling Crash Risk and Assessing Durations of Wrong-Way Driving Events,” published in the Transportation Research Board 96th Annual Meeting Compendium of Papers CD-ROM, Washington D.C., January 8-12, 2017. Sandt*, A., AL-DEEK+, H., Rogers*, J., and Kayes*, I. “Using Agency Surveys and a Benefit-Cost Analysis to Evaluate Highway Advisory Radio as a Regional Traveler Information and Communication Tool,” published in the Transportation Research Board 96th Annual Meeting Compendium of Papers CD-ROM, Washington D.C., January 8-12, 2017. Fakharian, S., Hadi+, M., Xiao, Y., and AL-DEEK, H., “Queue Length Estimation for Freeway Facilities Based on the Combination of Point Traffic Detector Data and Automatic Vehicle Identification Data,” published in the Transportation Research Board 96th Annual Meeting Compendium of Papers CD-ROM, Washington D.C., January 8-12, 2017. Lochrane*, T., AL-DEEK+, H., Jiang, X., Dailey, D., and Shurbutt, J., “Capturing Driver Behavior by Measuring Time Gap in Freeway Work Zones” published in the Transportation Research Board 96th Annual Meeting Compendium of Papers CD-ROM, Washington D.C., January 8-12, 2017. Rogers*, J., AL-DEEK+, H., Alomari*, A., Gordin, E., and Carrick, G., “Modeling the Risk of Wrong-Way Driving on Freeways and Toll Roads,” published in the Transportation Research Board 95th Annual Meeting Compendium of Papers CD-ROM, Washington D.C., January 10-14, 2016. Alomari*, A. , AL-DEEK+, H., Sandt*, A., Rogers*, J., and Hussain*, O., “Regional Evaluation of Bus Rapid Transit with and without Transit Signal Priority,” published in the Transportation Research Board 95th Annual Meeting Compendium of Papers CD-ROM, Washington D.C., January 10-14, 2016. Sandt*, A., AL-DEEK+, H., Rogers*, J., Muhaisen*, N., and Alomari*, A., “Should Legacy Highway Advisory Radio and Citizens’ Band Radio Advisory Systems be Continued? Analysis of Traveler Usage and Satisfaction Regarding These Systems,” published in the Transportation Research Board 95th Annual Meeting Compendium of Papers CD-ROM, Washington D.C., January 10-14, 2016. Sandt*, A. , AL-DEEK+, H., Rogers*, J., Alomari*, A., and Gordin, E., “Modeling Driver Responses to Wrong-Way Driving Countermeasures through a Driver Survey and Countermeasure Implementation in Florida,” published in the Transportation Research Board 95th Annual Meeting Compendium of Papers CD-ROM, Washington D.C., January 10-14, 2016. Rogers*, J., Sandt*, A. , AL-DEEK+, H., and Alomari*, A., “Wrong-Way Driving Multifactor Prediction Models for Florida Limited Access Facilities,” published in the Road Safety and Simulation International Conference 2015 RSS2015, Compendium of Papers, Orlando, Florida, October 6-8, 2015. Rogers*, J., Sandt*, A. , AL-DEEK+, H., Alomari*, A., Uddin, N., Gordin, E., Dos Santos, C., Renfrow, J., and Carrick, G. “Wrong-Way Driving Multifactor Risk-Based Model for Florida Interstates and Toll Facilities,” published in the Transportation Research Board 94th Annual Meeting Compendium of Papers CD-ROM, Washington D.C., January 11-15, 2015. Sandt*, A., AL-DEEK+, H., Rogers*, J., and Alomari*, A., “Wrong-Way Driving Prevention: Incident Survey Results and Planned Countermeasure Implementation in Florida,” published in the Transportation Research Board 94th Annual Meeting Compendium of Papers CD-ROM, Washington D.C., January 11-15, 2015. Lochrane*, T., AL-DEEK+, H., Dailey, D., and Krause, C., “A Multidimensional Psycho-Physical Car-Following Framework for Modeling Work Zone and Non-Work Zone Driver Behavior” published in the Transportation Research Board 94th Annual Meeting Compendium of Papers CD-ROM, Washington D.C., January 11-15, 2015. Consoli*, F., Alomari*, A., AL-DEEK+, H., Rogers*, J., Sandt*, A., Noori, M.,Tatari, O., and Hadi, M., “Evaluation of Conditional Transit Signal Priority Technology for Regional Implementation,” published in the Transportation Research Board 94th Annual Meeting Compendium of Papers CD-ROM, Washington D.C., January 11-15, 2015. Fakharian, S., Xiao, Y., Hadi+, M., and AL-DEEK, H., “Estimation of Freeway Density Based on the Combination of Point Traffic Detector Data and Automatic Vehicle Identification Data,” published in the Transportation Research Board 94th Annual Meeting Compendium of Papers CD-ROM, Washington D.C., January 11-15, 2015. Lochrane*, T., AL-DEEK+, H., Dailey, D., and Bared, J., “Living Laboratory for Freeway Operations: Case Study for Collecting Driver Behavior Data Through Freeway Work Zones,” published in the Transportation Research Board 93rd Annual Meeting Compendium of Papers CD-ROM, Washington D.C., January 12-16, 2014. Lochrane*, T., AL-DEEK+, H., Romo, A., “Obtaining Transportation data through Social Media: Survey on Driver Behavior in Freeway Work Zones.” Proceedings of the 17th International Road Federation (IRF) World Meeting, Riyadh, Saudi Arabia, November 10-14, 2013. Xiao, Y., Fakharian*, S., Hadi+, M., and AL-DEEK, H., “Comparison of Instantaneous and Experienced Travel Time Using Point Detector Data and AVI Data,” published in the Transportation Research Board 93rd Annual Meeting Compendium of Papers CD-ROM, Washington D.C., January 12-16, 2014. Moradi*, M. and AL-DEEK+, H., “Financial Evaluation of Mileage Based User Fee: State of Florida –A Case Study,” published in the Transportation Research Board 92nd Annual Meeting Compendium of Papers CD-ROM, Washington D.C., January 13-17, 2013. Consoli*, F., Rogers*, J., AL-DEEK+, H., Tatari, O., and Alomari*, A. “Smart Event Traffic Management: Impact on the Central Florida Regional Transportation Network and Lessons Learned,” published in the Transportation Research Board 92nd Annual Meeting Compendium of Papers CD-ROM, Washington D.C., January 13-17, 2013. Ercan, T., Kucukvar, M., Tatari+, O., and AL-DEEK, H., “Triple Bottom Line Sustainability Impact Analysis of ITS-related Congestion Relief in Florida: The Complete Picture,” published in the Transportation Research Board 92nd Annual Meeting Compendium of Papers CD-ROM, Washington D.C., January 13-17, 2013. AL-DEEK+, H., Chandra*, R. S., and Flick*, J., “The Impact of Dynamic Message Signs on Satisfaction and Diversion of Toll Road Travelers,” published in the Transportation Research Board 88th Annual Meeting Compendium of Papers CD-ROM, Washington D.C., January 11-15, 2009. AL-DEEK+, H., Chandra*, R. S., Flick*, J., and Khattak, A., “Dynamic Message Sign Deployment and Diversion Behavior of Travelers on Central Florida Toll Roads,” published in the Transportation Research Board 88th Annual Meeting Compendium of Papers CD-ROM, Washington D.C., January 11-15, 2009. Nezamuddin*, N. and AL-DEEK+, H., “Developing a Microscopic Toll Plaza and Toll Road Corridor Model Using PARAMICS,” published in the Transportation Research Board 87th Annual Meeting Compendium of Papers CD-ROM, Washington D.C., January 13-17, 2008. Ramachandran, B. and AL-DEEK+, H., “An Internet Based Spatial Data Warehousing Approach for Advanced Traveler Information System,” published in the Transportation Research Board 87th Annual Meeting Compendium of Papers CD-ROM, Washington D.C., January 13-17, 2008. Chandra*, R. S. and AL-DEEK+, H., “Cross Correlation Analysis and Multivariate Prediction of Spatial Time Series of Freeway Traffic Speeds,” published in the Transportation Research Board 87th Annual Meeting Compendium of Papers CD-ROM, Washington D.C., January 13-17, 2008. Sandt*, A., AL-DEEK+, H., and Kayes*, I., “Responding to the Wrong-Way Driving Problem with Limited Resources by Optimizing the Placement of Wrong-Way Driving Countermeasure Technologies on Limited Access Facilities,” presented at the Transportation Research Board 98th Annual Meeting, Washington D.C., January 13-17, 2019. Kayes*, I., Sandt*, A., AL-DEEK+, H., Uddin, N., Rogers*, J., and Carrick, G., “Modeling Wrong-Way Driving Entries at Limited Access Facility Exit Ramps in Florida,” presented at the Transportation Research Board 98th Annual Meeting, Washington D.C., January 13-17, 2019. Kayes*, I., AL-DEEK+, H., Sandt*, A., Carrick, G., Staves*, C., Gamaleldin*, G., Faruk*, O., and Al-Sahili*, O., “Characteristics of Law Enforcement Response to Wrong-Way Driving Events in Florida,” presented at the Transportation Research Board 98th Annual Meeting, Washington D.C., January 13-17, 2019. Sandt*, A. and AL-DEEK+, H., “A Wrong-Way Driving Crash Risk Reduction Approach for Cost-Effective Installation of Advanced Technology Wrong-Way Driving Countermeasures,” presented at the Transportation Research Board 97th Annual Meeting, Washington D.C., January 7-11, 2018. Kayes*, I., AL-DEEK+, H., Sandt*, A., Rogers*, J., and Carrick, G., “Analysis of Performance Data Collected from Two Wrong-Way Driving Advanced Technology Countermeasures and Results of Countermeasures Stakeholder Surveys,” presented at the Transportation Research Board 97th Annual Meeting, Washington D.C., January 7-11, 2018. Al-Sahili*, O., AL-DEEK+, H., Sandt*, A., Mantzaris, A., Rogers*, J., and Faruk*,O., “Investigating and Modeling the Illegal U-turn Violations at Medians of Limited Access Facilities,” presented at the Transportation Research Board 97th Annual Meeting, Washington D.C., January 7-11, 2018. Wertanen*, S., Staves*, C., AL-DEEK+, H., Sandt*, A., Carrick, G., and Rogers*, J., “Evaluating Wrong-Way Driving Characteristics, Countermeasures, and Alert Dissemination Methods through Driver and Law Enforcement Surveys,” presented at the Transportation Research Board 97th Annual Meeting, Washington D.C., January 7-11, 2018. Faruk*, O., AL-DEEK+, H., Sandt*, Rogers*, J., and Shamma*, A., “Wrong-Way Driving: A Regional Transportation Systems Management and Operations Approach to A Regional Problem,” presented at the Transportation Research Board 97th Annual Meeting, Washington D.C., January 7-11, 2018. Sandt*, A., AL-DEEK+, H., and Rogers*, J., “Identifying Wrong-Way Driving Hotspots by Modeling Crash Risk and Assessing Durations of Wrong-Way Driving Events,” presented at the Transportation Research Board 96th Annual Meeting, Washington D.C., January 8-12, 2017. Sandt*, A., AL-DEEK+, H., Rogers*, J., and Kayes*, I., “Using Agency Surveys and a Benefit-Cost Analysis to Evaluate Highway Advisory Radio as a Regional Traveler Information and Communication Tool,” presented at the Transportation Research Board 96th Annual Meeting, Washington D.C., January 8-12, 2017. Fakharian, S., Hadi+, M., Xiao, Y., and AL-DEEK, H., “Queue Length Estimation for Freeway Facilities Based on the Combination of Point Traffic Detector Data and Automatic Vehicle Identification Data,” presented at the Transportation Research Board 96th Annual Meeting, Washington D.C., January 8-12, 2017. Lochrane*, T., AL-DEEK+, H., Jiang, X., Dailey, D., and Shurbutt, J., “Capturing Driver Behavior by Measuring Time Gap in Freeway Work Zones” presented at the Transportation Research Board 96th Annual Meeting, Washington D.C., January 8-12, 2017. Al-Sahili*, O., AL-DEEK+, H., and Lee, J., “Review of Bicycle Level of Service Methodologies,” presented at the Transpo2016 Conference, West Palm Beach, Florida, November 13-16, 2016. Rogers*, J., AL-DEEK+, H., and Alomari*, Gordin, E., and Carrick, G., “Modeling the Risk of Wrong-Way Driving on Freeways and Toll Roads,” presented at the Transportation Research Board 95th Annual Meeting, Washington D.C., January 10-14, 2016. Alomari*, A. , AL-DEEK+, H., Sandt*, A., Rogers*, J., and Hussain*, O., “Regional Evaluation of Bus Rapid Transit with and without Transit Signal Priority,” presented at the Transportation Research Board 95th Annual Meeting, Washington D.C., January 10-14, 2016. Sandt*, A., AL-DEEK+, H., Rogers*, J., Muhaisen*, N., and Alomari*, A., “Should Legacy Highway Advisory Radio and Citizens’ Band Radio Advisory Systems be Continued? Analysis of Traveler Usage and Satisfaction Regarding These Systems,” presented at the Transportation Research Board 95th Annual Meeting, Washington D.C., January 10-14, 2016. Sandt*, A., AL-DEEK+, H., Rogers*, J., Alomari*, A., and Gordin, E., “Modeling Driver Responses to Wrong-Way Driving Countermeasures through a Driver Survey and Countermeasure Implementation in Florida,” presented at the Transportation Research Board 95th Annual Meeting, Washington D.C., January 10-14, 2016. Rogers*, J., Sandt*, A. , AL-DEEK+, H., and Alomari*, A., “Wrong-Way Driving Multifactor Prediction Models for Florida Limited Access Facilities,” presented at the Road Safety and Simulation International Conference 2015 RSS2015, Orlando, Florida, October 6-8, 2015. Rogers*, J., Sandt*, A. , AL-DEEK+, H., and Alomari*, A., Uddin, N., Gordin, E., Dos Santos, C., Renfrow, J., and Carrick, G., “Wrong-Way Driving Multifactor Risk-Based Model for Florida Interstates and Toll Facilities,” presented at the Transportation Research Board 94th Annual Meeting, Washington D.C., January 11-15, 2015. Sandt*, A., AL-DEEK+, H., Rogers*, J., and Alomari*, A., “Wrong-Way Driving Prevention: Incident Survey Results and Planned Countermeasure Implementation in Florida,” presented at the Transportation Research Board 94th Annual Meeting, Washington D.C., January 11-15, 2015. Lochrane*, T., AL-DEEK+, H., Dailey, D., and Krause, C., “A Multidimensional Psycho-Physical Car-Following Framework for Modeling Work Zone and Non-Work Zone Driver Behavior” presented at the Transportation Research Board 94th Annual Meeting, Washington D.C., January 11-15, 2015. Consoli*, F., Alomari*, A. , AL-DEEK+, H., Rogers*, J., Sandt*, A., Noori, M.,Tatari, O., and Hadi, M., “Evaluation of Conditional Transit Signal Priority Technology for Regional Implementation,” presented at the Transportation Research Board 94th Annual Meeting, Washington D.C., January 11-15, 2015. Fakharian, S., Xiao, Y., Hadi+, M., and AL-DEEK, H., “Estimation of Freeway Density Based on the Combination of Point Traffic Detector Data and Automatic Vehicle Identification Data,” presented at the Transportation Research Board 94th Annual Meeting, Washington D.C., January 11-15, 2015. Al-Deek, H., “Evaluating the Wrong-Way Driving (WWD) Incidents Problem on the Florida’s Turnpike Enterprise (FTE) Roadway System,” Southern Transportation Center Fall 2014 conference, Knoxville, Tennessee, September 30, 2014. Rogers*, J., AL-DEEK, H., and Sandt*, A., “Wrong-Way Driving Incidents on Central Florida Toll Road Network, Phase-1 Study: An Investigation into the Extent of this Problem?” presented at the 2nd Transportation and Development Institute, ASCE, June 8-11, 2014 in Orlando, Florida. 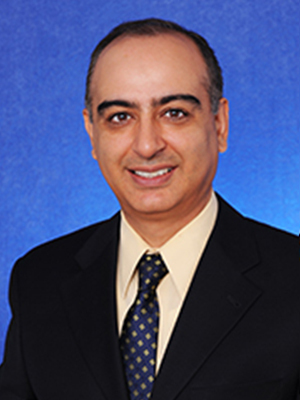 Noori, M., Tatari, O., and AL-DEEK, H., “Evaluating the Environmental Effects of Transit Signal Priority System: A Case Study in State of Florida,” presented at the 2nd Transportation and Development Institute, ASCE, June 8-11, 2014 in Orlando, Florida. Lochrane*, T., AL-DEEK, H., Dailey, D., and Bared, J., “Living Laboratory for Freeway Operations: Case Study for Collecting Driver Behavior Data Through Freeway Work Zones,” presented at the Transportation Research Board 93rd Annual Meeting, Washington D.C., January 12-16, 2014. Lochrane*, T., AL-DEEK, H., and Romo, A., “Obtaining Transportation data through Social Media: Survey on Driver Behavior in Freeway Work Zones.” Presented at the 17th International Road Federation (IRF) World Meeting, Riyadh, Saudi Arabia, November 10-14, 2013. Xiao, Y., Fakharian, S., Hadi+, M., and AL-DEEK, H.,“Comparison of Instantaneous and Experienced Travel Time Using Point Detector Data and AVI Data,” presented at the Transportation Research Board 93rd Annual Meeting, Washington D.C., January 12-16, 2014. AL-DEEK+, H., Tatari, O., Consoli*, F., Rogers*, J., and Hadi, M., “Applications of Traffic Signal Priority Technology for Transit Service,” presented at the University Transportation Center (UTC) Conference for the Southeastern Region, April 4-5, 2013, Orlando, Florida. Hadi+, M., Yan, X., Qom, S. F., and AL-DEEK, H., “Performance Measurements of Transportation Systems based on Fine-Grained Data Collected by AVI and AVL Systems,” presented at the University Transportation Center (UTC) Conference for the Southeastern Region, April 4-5, 2013, Orlando, Florida. AL-DEEK+, H., Lochrane*, T., Chandra*, R., and Khattak, A., “Diversion During Unexpected Congestion on Toll Roads: The Role of Traffic Information Displayed on Dynamic Message Signs,” presented at the Transportation Research Board 92nd Annual Meeting, Washington D.C., January 13-17, 2013. Moradi*, M. and AL-DEEK+, H., “Financial Evaluation of Mileage Based User Fee: State of Florida –A Case Study,” presented at the Transportation Research Board 92nd Annual Meeting, Washington D.C., January 13-17, 2013. Consoli*, F., Rogers*, J., AL-DEEK+, H., Tatari, O., and Alomari*, A., “Smart Event Traffic Management: Impact on the Central Florida Regional Transportation Network and Lessons Learned,” presented at the Transportation Research Board 92nd Annual Meeting, Washington D.C., January 13-17, 2013. Ercan, T., Kucukvar, M., Tatari, O., and AL-DEEK+, H., “Triple Bottom Line Sustainability Impact Analysis of ITS-related Congestion Relief in Florida: The Complete Picture,” presented at the Transportation Research Board 92nd Annual Meeting, Washington D.C., January 13-17, 2013. Lochrane*, T. and AL-DEEK+, H., “Survey of Driver Behavior in Freeway Work Zones in the United States,” Abstract accepted by the International Road Federation (IRF) conference to be held in Riyadh, Saudi Arabia, accepted in April 2013, conference is to be held in November 2013. AL-DEEK+, H. Chandra*, R. S., and Flick*, J., “The Impact of Dynamic Message Signs on Satisfaction and Diversion of Toll Road Travelers,” presented at the Transportation Research Board 88th Annual Meeting, Washington D.C., January 11-15, 2009. AL-DEEK+, H., Chandra*, R. S., Flick*, J., and Khattak, A., “Dynamic Message Sign Deployment and Diversion Behavior of Travelers on Central Florida Toll Roads,” presented at the Transportation Research Board 88th Annual Meeting, Washington D.C., January 11-15, 2009. Nezamuddin*, N. and AL-DEEK+, H., “Developing a Microscopic Toll Plaza and Toll Road Corridor Model Using PARAMICS,” presented at the Transportation Research Board 87th Annual Meeting, Washington D.C., January 13-17, 2008. Ramachandran, B. and AL-DEEK+, H., “An Internet Based Spatial Data Warehousing Approach for Advanced Traveler Information System,” presented at the Transportation Research Board 87th Annual Meeting, Washington D.C., January 13-17, 2008. Chandra*, R. S. and AL-DEEK+, H., “Cross Correlation Analysis and Multivariate Prediction of Spatial Time Series of Freeway Traffic Speeds,” presented at the Transportation Research Board 87th Annual Meeting, Washington D.C., January 13-17, 2008. Nezamuddin*, N. and AL-DEEK+, H., “Developing a Microscopic Toll Plaza and Toll Road Corridor Model Using PARAMICS,” presented at the Transportation Research Board 86th Annual Meeting, Washington D.C., January 21-25, 2007. Finley, M. D., Avelar, R. E., Venglar, S. P., Texas A&M Transportation Institute, Hawkins, G., Jr., Texas A&M University, and AL-DEEK+, H., University of Central Florida, “Traffic Control Devices and Measures for Deterring Wrong-Way Movements;” National Cooperative Highway Research Program (NCHRP) Research Report 881, Project 03-117, 106 pages, ISBN 978-0-309-39056-9, DOI 10.17226/25231, Transportation Research Board; National Academy of Sciences, Engineering, and Medicine; September 2018. AL-DEEK+, H., Sandt*, A., Kayes*, I., Gamero*, V., and Blue*, P., “Evaluating the Potential of Connected Vehicles in Combating Wrong-Way Driving,” Final Research Report, Department of Civil, Environmental, and Construction Engineering, University of Central Florida, 36 pages, submitted to the Southeastern Transportation Center, July 2018. AL-DEEK+, H., Rogers*, J., Sandt*, A., and Alomari*, A. “Evaluating the Wrong-Way Driving Incidents Problem on the Florida’s Turnpike Roadway System, Phase-1 Study,” Final Research Report, Department of Civil, Environmental, and Construction Engineering, University of Central Florida, 119 pages, submitted to the Southeastern Transportation Center, March 2016. AL-DEEK+, H., Rogers*, J., Sandt*, A., and Alomari*, A., “Evaluating the Wrong-Way Driving Incidents Problem on the Florida’s Turnpike Roadway System, Phase-1 Study,” Final Research Report, Department of Civil, Environmental, and Construction Engineering, University of Central Florida, 437 pages, submitted to the Florida Turnpike Enterprise (FTE), March 2016. AL-DEEK+, H., Sandt*, A., Alomari*, A., Rogers*, J., and Muhaisen*, N., “Evaluating the Impact and Usefulness of Highway Advisory Radio (HAR) and Citizens’ Band Radio Advisory Systems (CBRAS) in Providing Traveler Information and Improving the User Experience on the Florida Turnpike Enterprise’s Toll Road Network and the Florida Interstate Highway (FIH) System,” Final Research Report, Department of Civil, Environmental, and Construction Engineering, University of Central Florida, 258 pages, submitted to the Florida Department of Transportation Research Center, February 2016. AL-DEEK, H., Rogers*, J., Sandt*, A., and Alomari*, A., “Wrong-Way Driving Incidents on CFX Toll Road Network Phase-2 Study: Developing Countermeasures,” Final Research Report, Department of Civil, Environmental, and Construction Engineering, University of Central Florida, 72 pages, submitted to the CFX, February 2015. AL-DEEK+, H., Consoli*, F., Rogers*, J., Tatari, O., Alomari*, A., Sandt*, A., Noori, M., and Hadi, M., “Volume-I: Applications of Transit Signal Priority Technology for Transit Service,” Final Research Report, National Center for Transportation Systems Productivity and Management (NCTSPM), Project Title with FIU “Performance Measurements of Transportation Systems based on Fine-Grained Data Collected by AVI and AVL Systems,” 77 pages, submitted to NCTSPM on June 30, 2014. Hadi, M., Xiao, Y., Fakharian Qomn, S., Cabrera, E., and AL-DEEK+, H. “Performance Measurements of Transportation Systems based on Fine-Grained Data Collected by AVI and AVL Systems,” Final Report (FIU portion), National Center for Transportation Systems Productivity and Management (NCTSPM), 137 pages, submitted to NCTSPM on August 30, 2014. Lochrane*, T., AL-DEEK+, H., Scriba, T., Paracha, J., “Understanding Driver Behavior in Work Zones.” FHWAPublic Roads, Vol.76, No. 5, pp. 22-25, March/April 2013. AL-DEEK+, H., Rogers*, J., Sandt*, A., Alomari*, A., and Consoli*, F., “Wrong-way Driving Incidents on OOCEA Toll Road Network, Phase-1 Study: What is the Extent of this Problem?,” Final Research Report, Department of Civil, Environmental, and Construction Engineering, University of Central Florida, 217 pages, submitted to the OOCEA, May 2013. AL-DEEK+, H., Lochrane*, T., and El-Ahad*, E., “Preliminary and Exploratory Traffic Impact Study for the Proposed Student Union II at the University of Central Florida,” Final Research Report, Transportation Systems Institute (TSI), Department of Civil, Environmental, & Construction Engineering, University of Central Florida, 20 pages, submitted to the Student Union of the University of Central Florida, Spring 2010. AL-DEEK+, H., Chandra*, R. S., Flick*, J., and Lochrane*, T., “Evaluating the Impact of OOCEA’s Dynamic Message Signs (DMS) on Travelers’ Experience: Statistical Analysis and Modeling Results of the DMS Pre- and Post-Deployment Surveys,” Final Research Report, Transportation Systems Institute (TSI), Department of Civil, Environmental, & Construction Engineering, University of Central Florida, 266 pages, submitted to the Orlando-Orange County Expressway Authority (OOCEA), August 2008. Al-Deek+, H., “Evaluating Demand for Liquefied Natural Gas (LNG) in Hillsborough, Polk, Orange, and Volusia Counties, Florida,” Final Report, Nopetro, LLC, 35 pages, April 2010. Al-Deek+, H., “Evaluating Demand for Liquid Natural Gas (LNG) in Leon and Gadsden Counties, Florida,” Final Report, Nopetro, LLC, 34 pages, January 2010. Al-Deek+, H., “Evaluating Demand for Liquid Natural Gas (LNG) in Central Florida,” Final Report, Nopetro, LLC, 24 pages, March 2009. Al-Deek, H.© “The Role of Advanced Traveler Information Systems in Incident Management,” Ph.D. Dissertation, Department of Civil Engineering, University of California, Berkeley, 141 pages, October 1991.